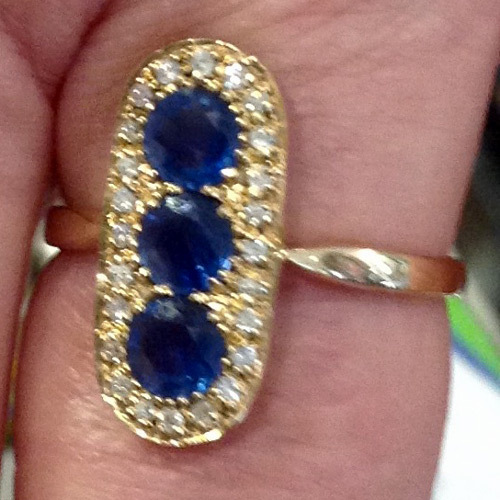 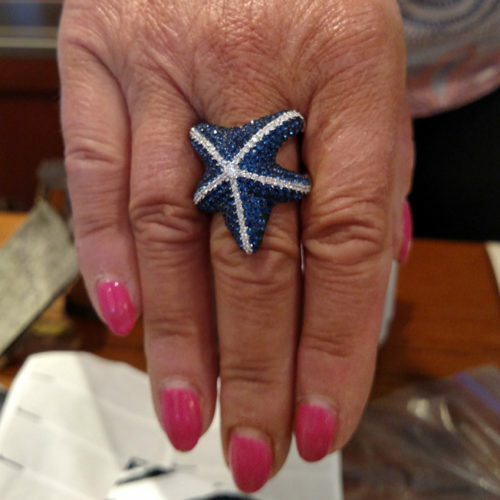 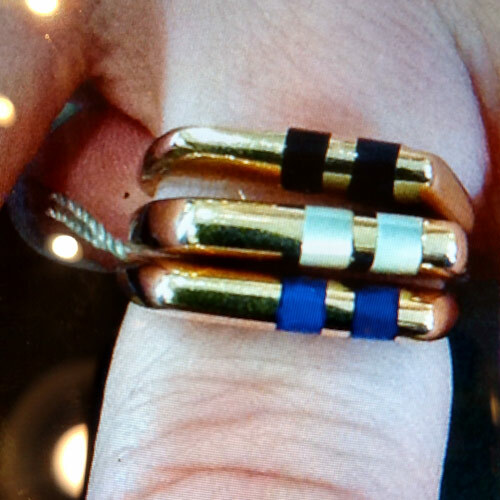 Vintage 18k mother of pearl, lapis and onyx stacker rings. 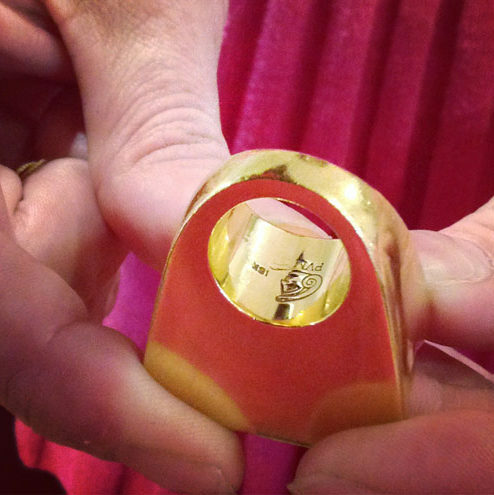 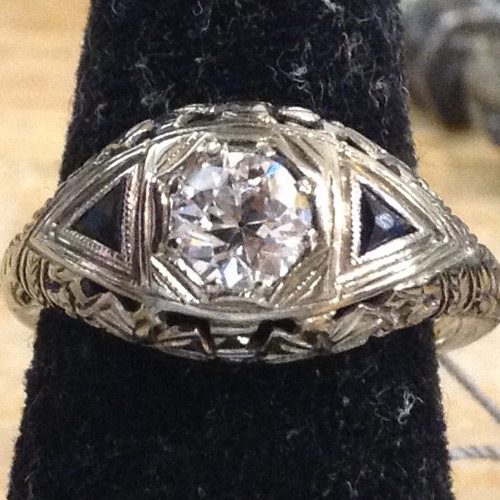 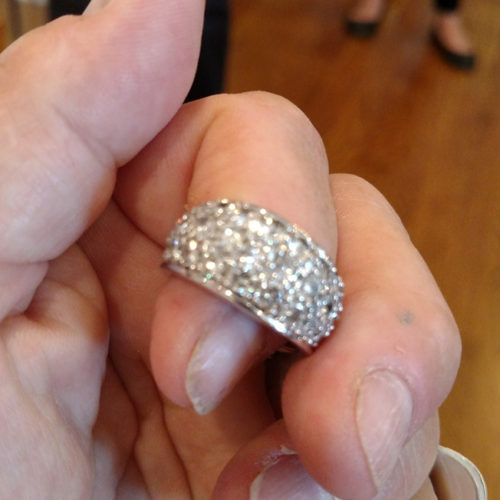 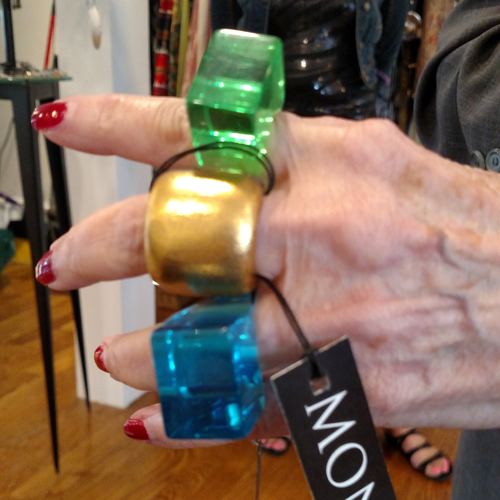 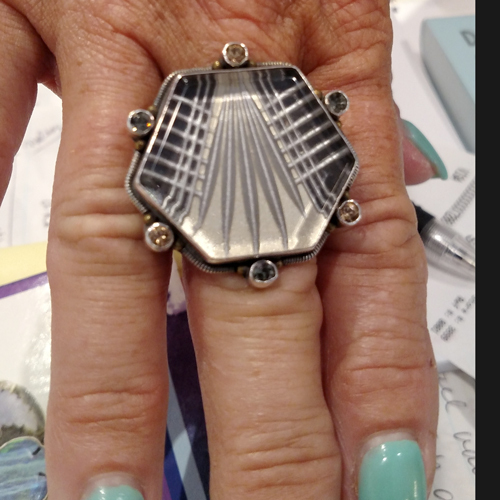 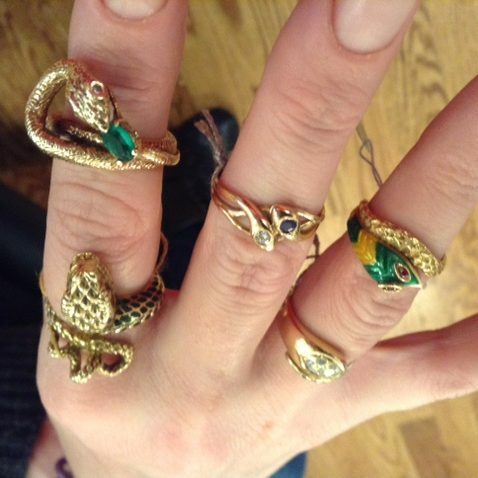 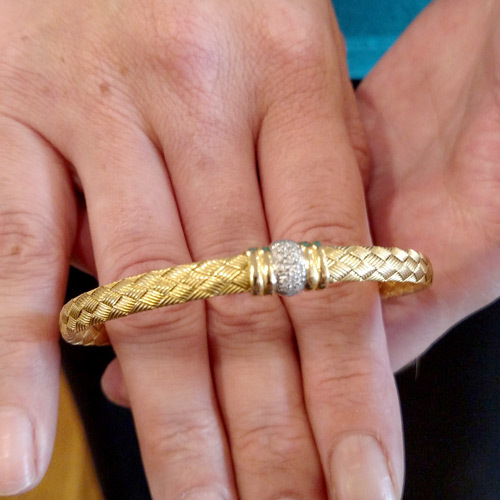 18k gold ring by Patricia Von Musulin. 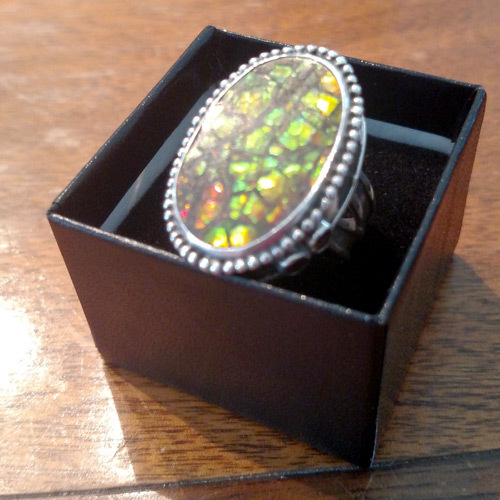 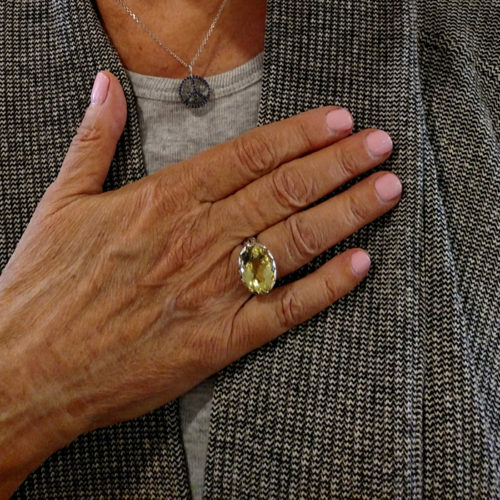 Echo of the Dreamer sterling ring with art deco glass, peridot's and citrine. 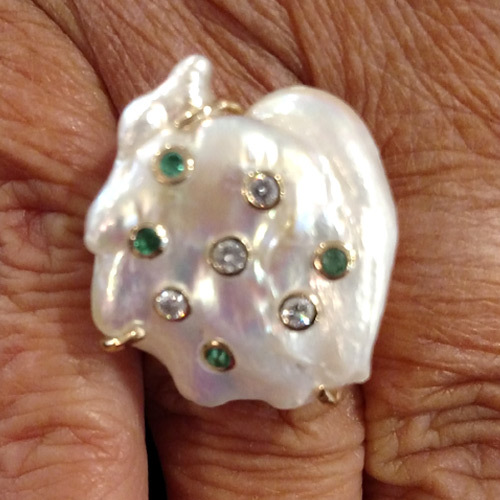 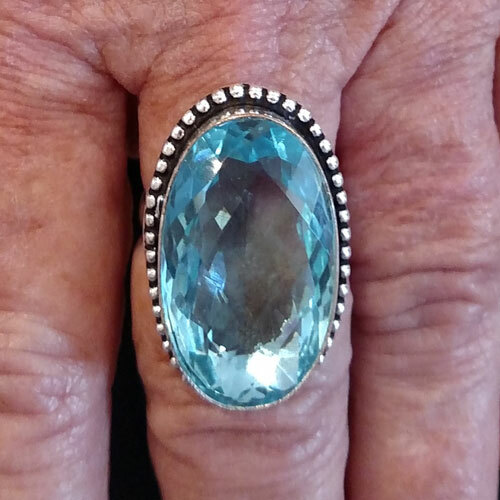 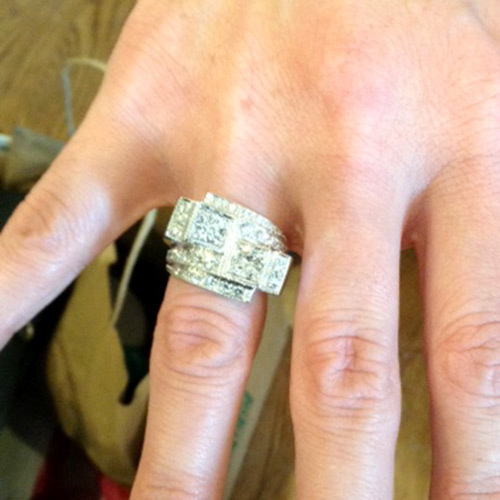 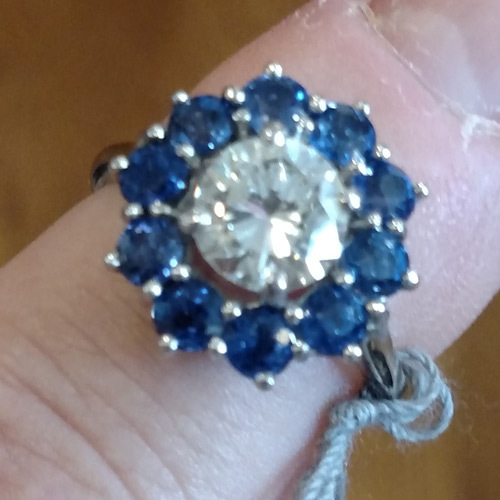 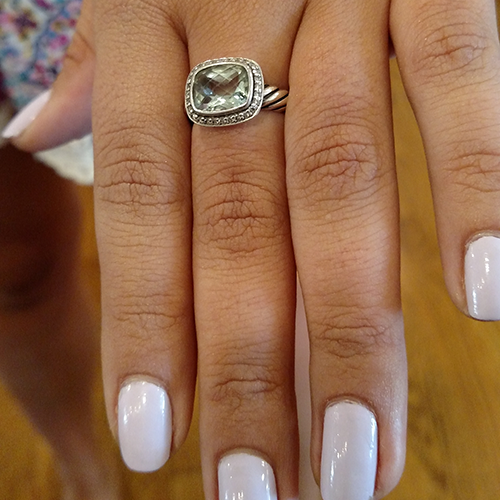 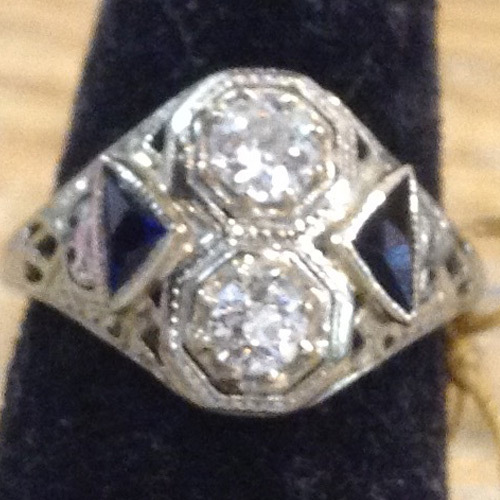 28K diamond and prasiolite ring. 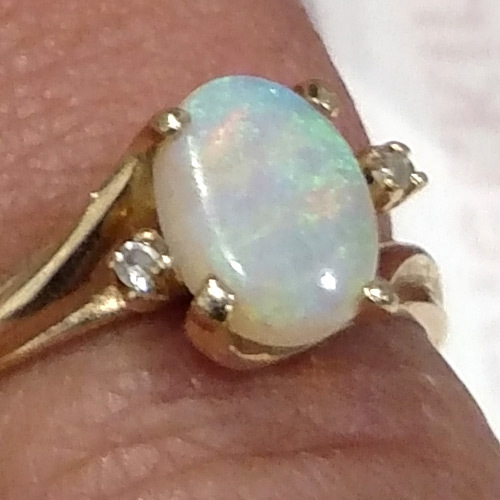 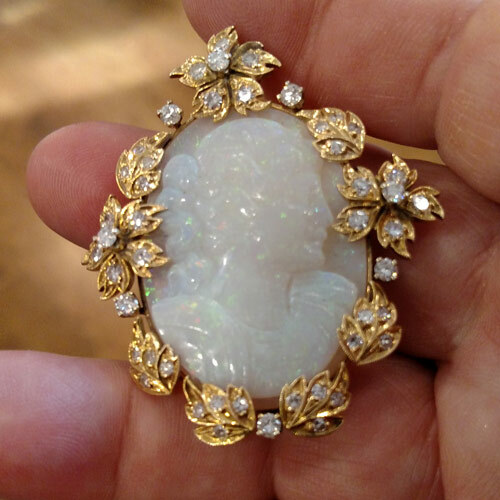 Spectacular antique 18K and carved opal cameo pin pendant. 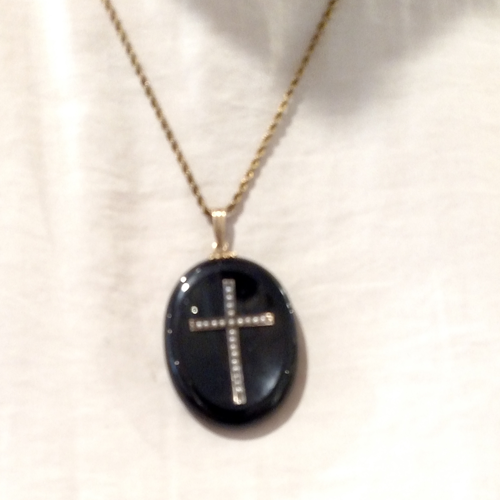 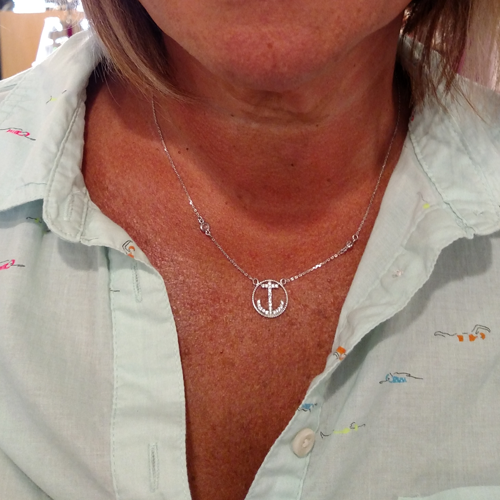 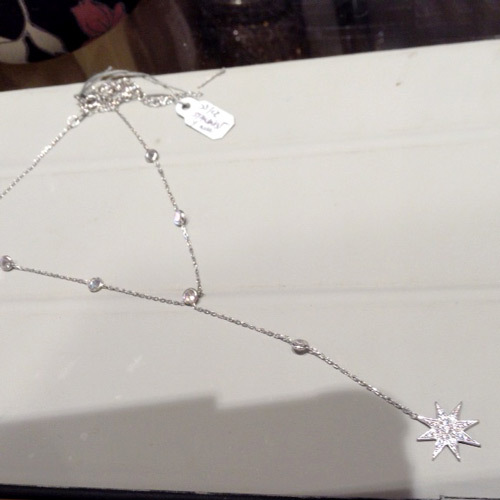 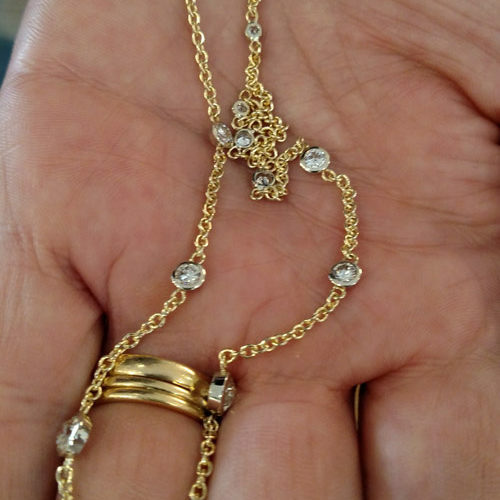 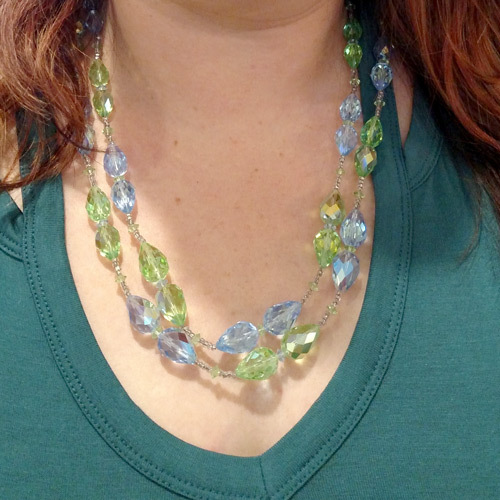 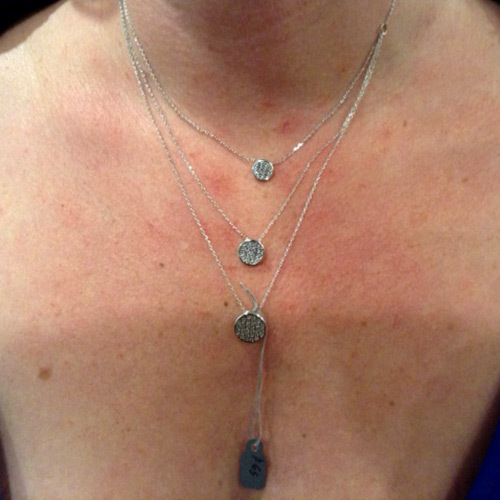 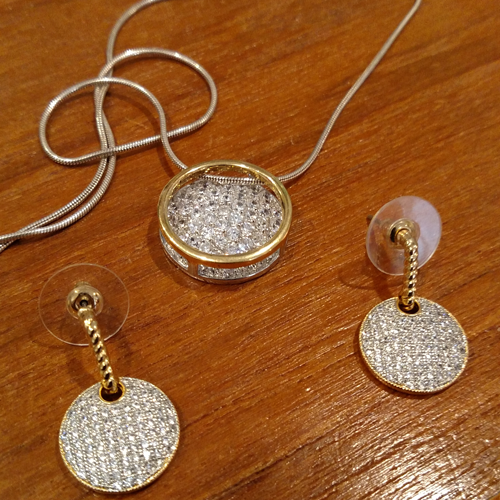 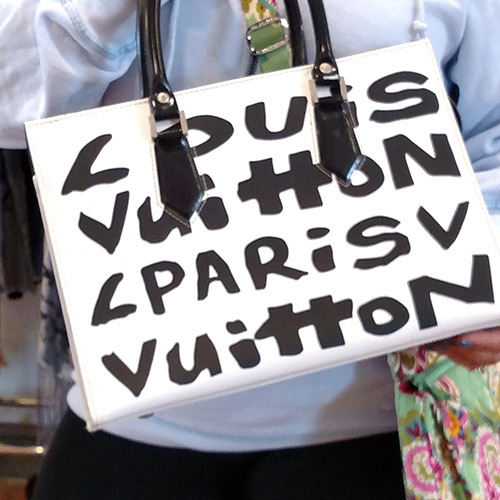 Custom 28k and diamonds by the yard necklace. 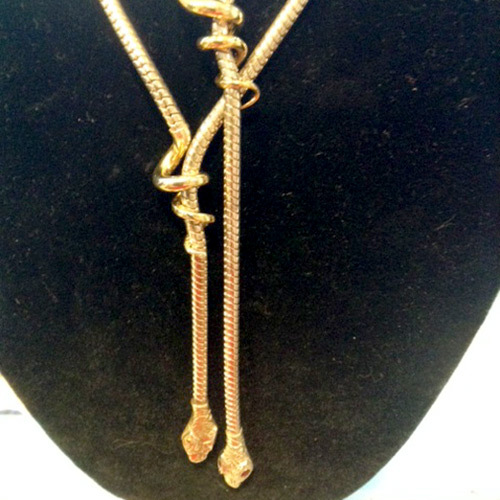 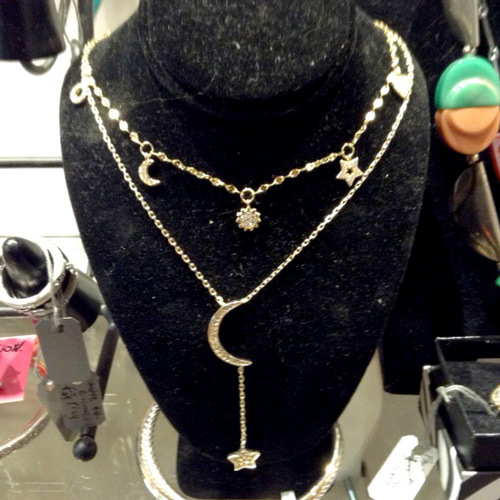 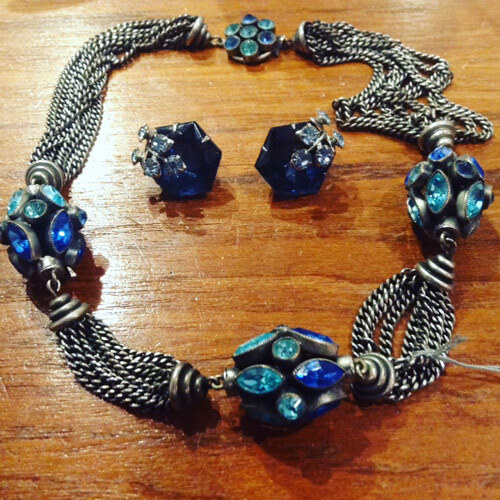 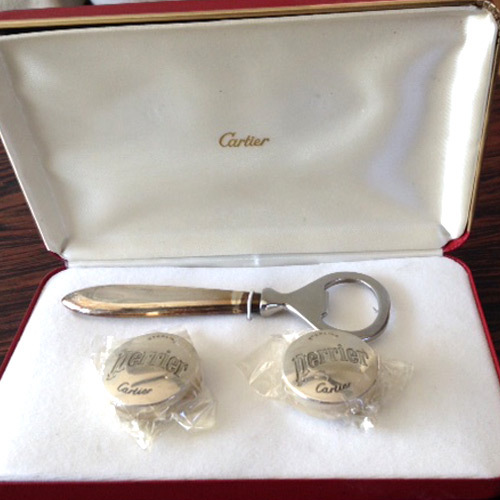 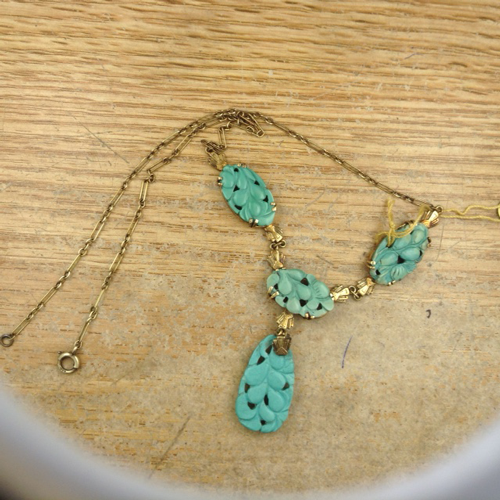 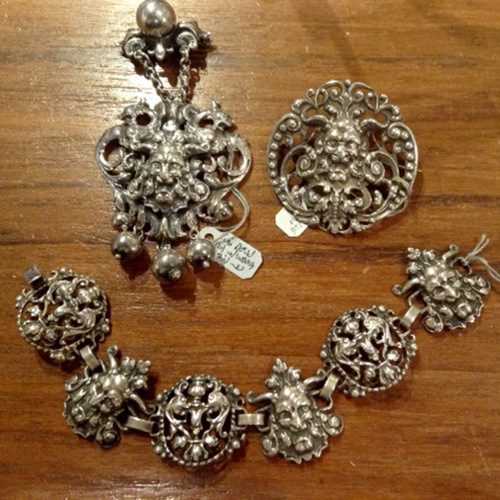 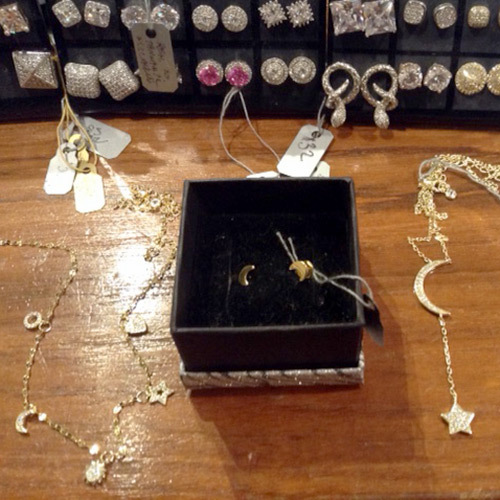 Vintage Hobe' necklace and earrings set. 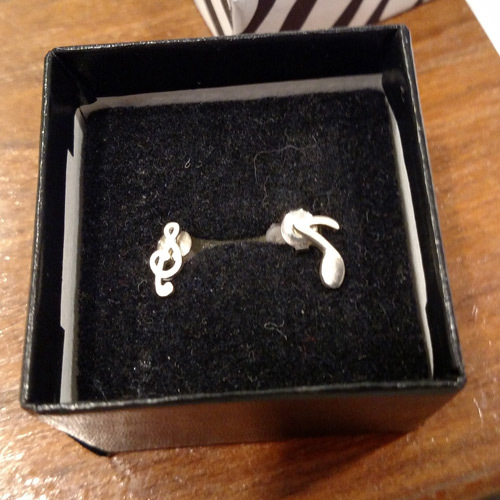 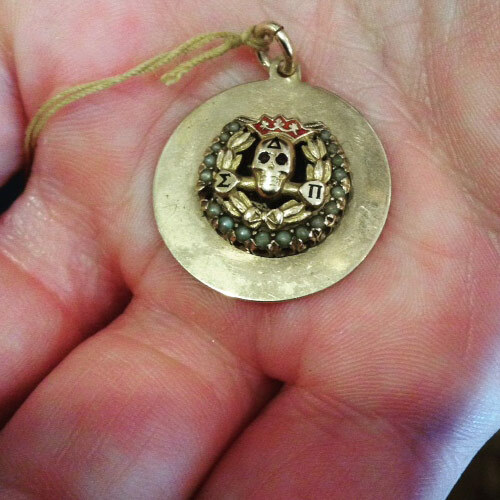 Vintage 14k Yale University Skull & Bones charm. 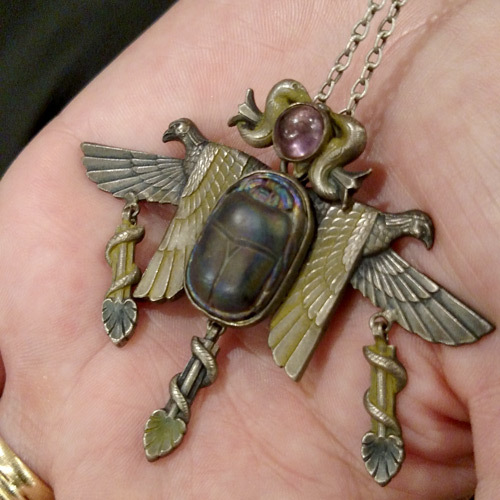 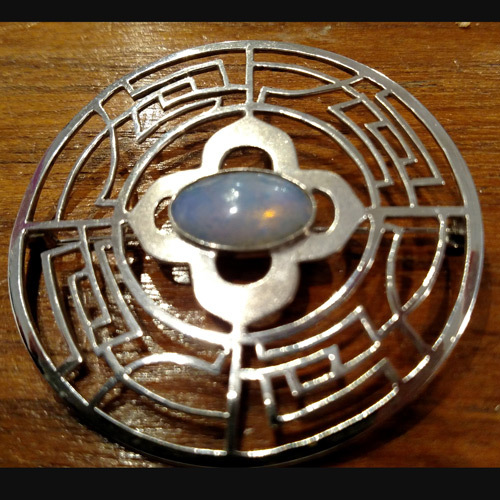 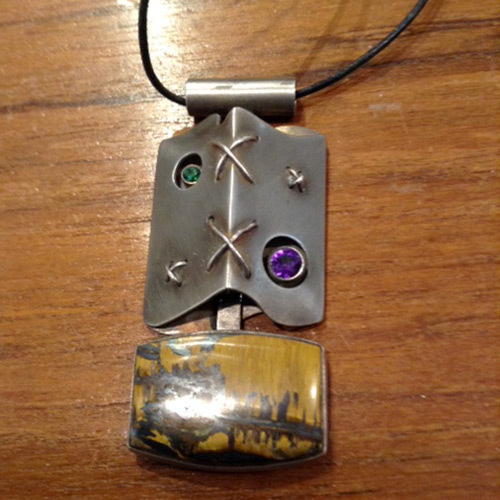 Sterling, opal and tourmaline studio pendant by Michael Thee. 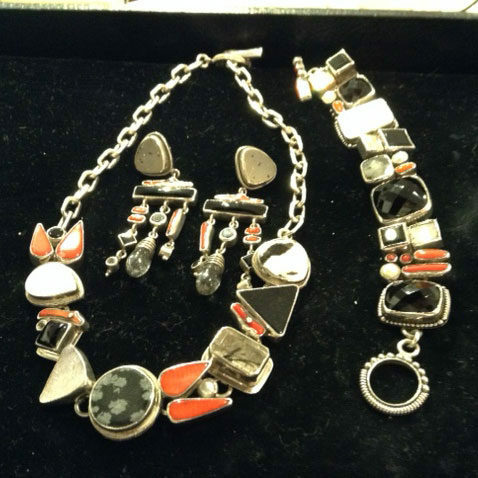 Margaret Thurman, Echo of the Dreamer necklace, bracelet and earrings' set in sterling silver, onyx, rutilated quartz, pearl and coral. 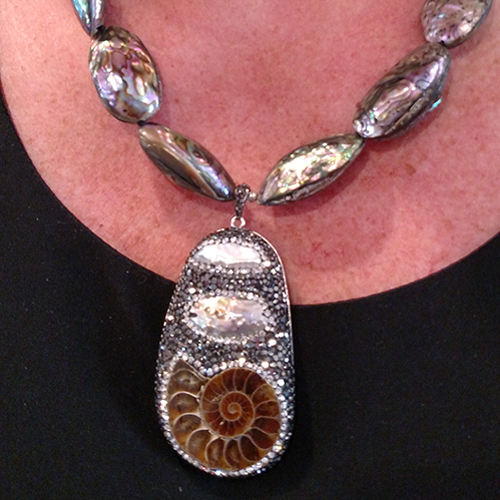 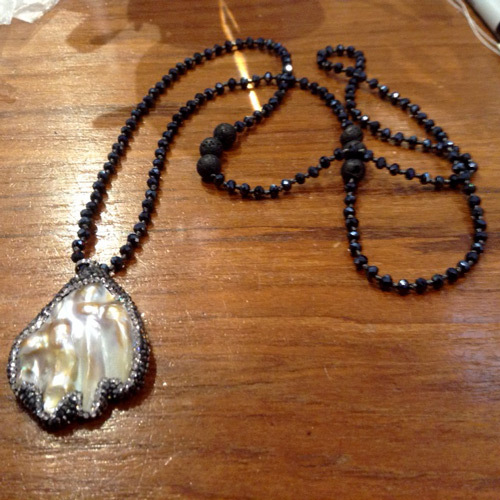 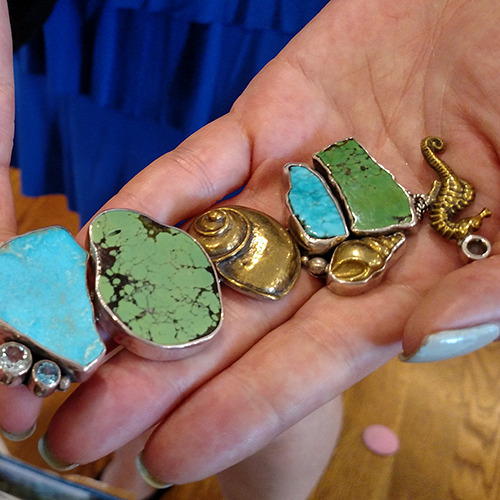 Abalone necklace with pendant of black and clear crystals, pearl and fossilized ammonite. 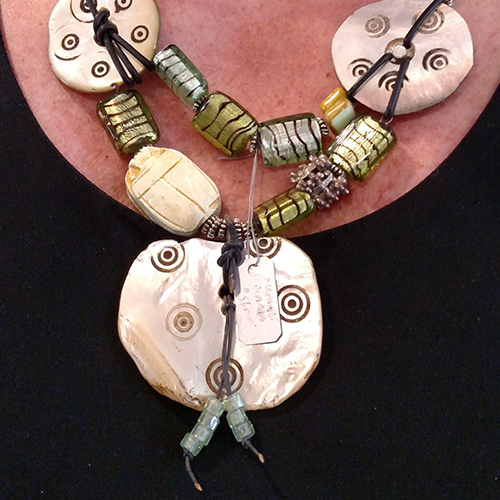 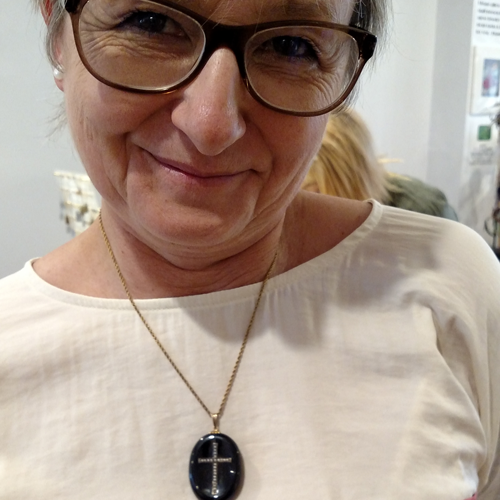 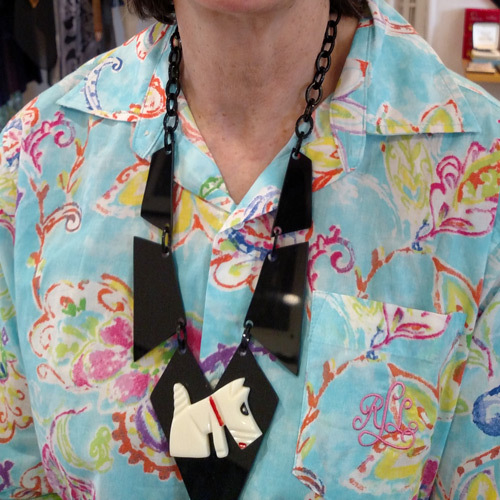 Tracy Keener glass and mother if pearl necklace. 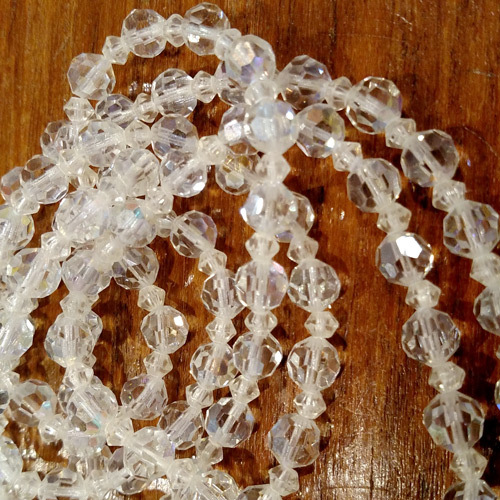 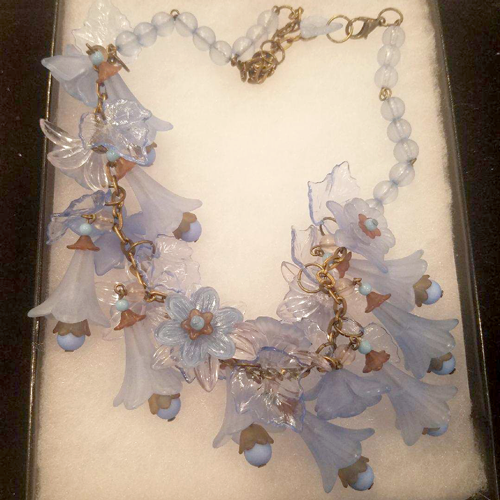 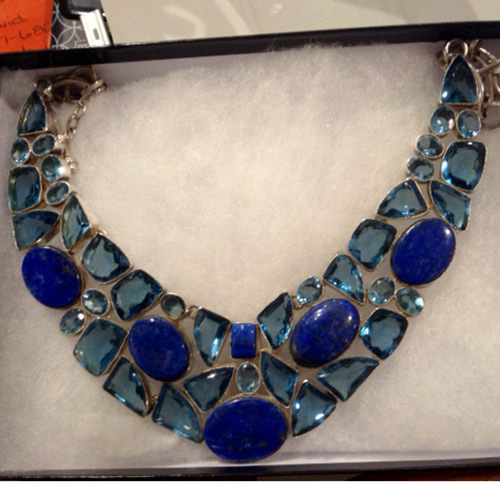 Vintage acrylic blue flower necklace. 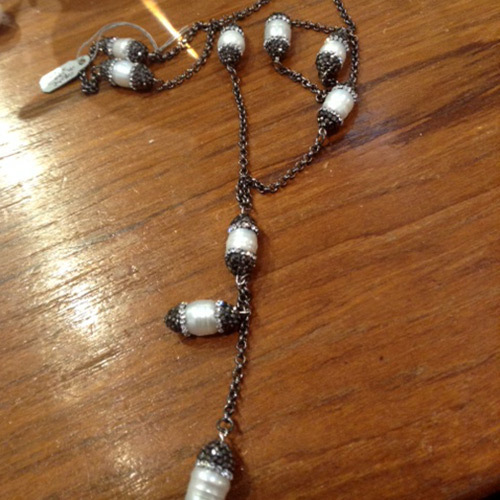 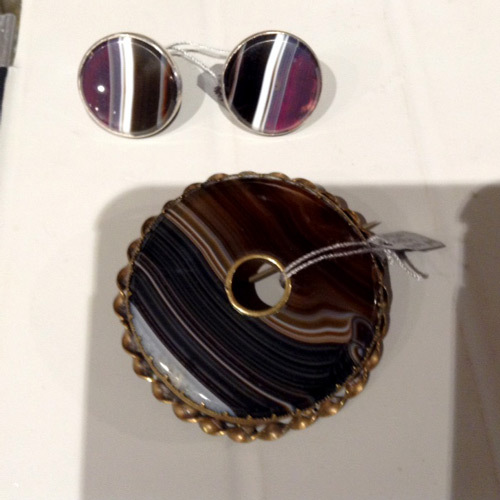 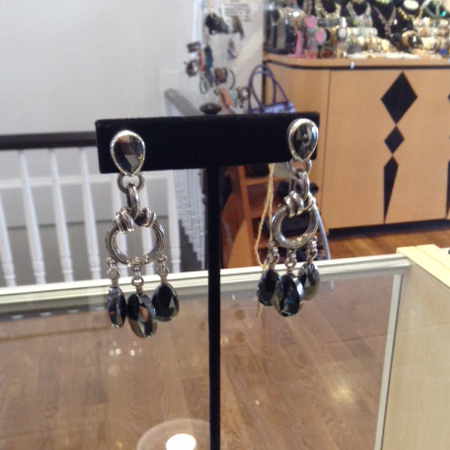 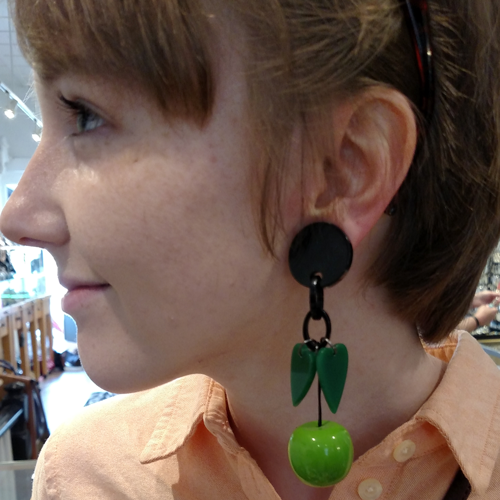 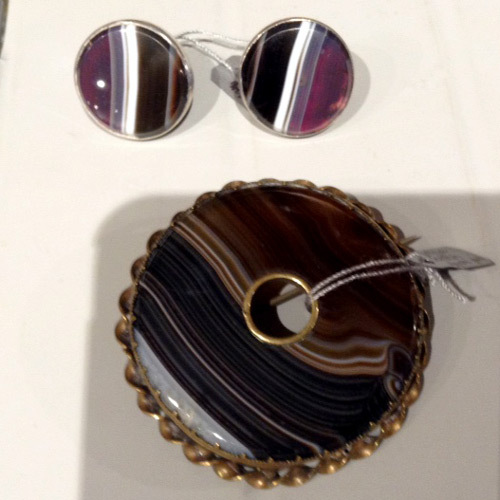 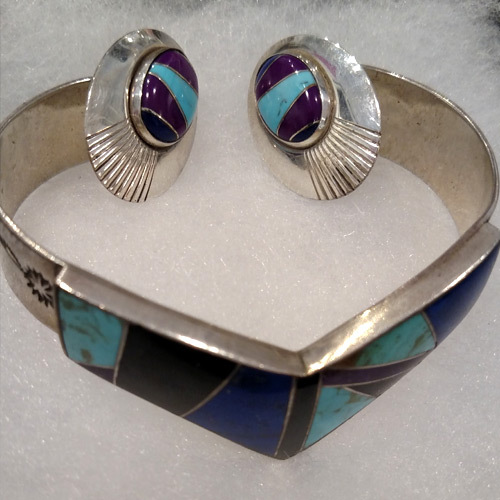 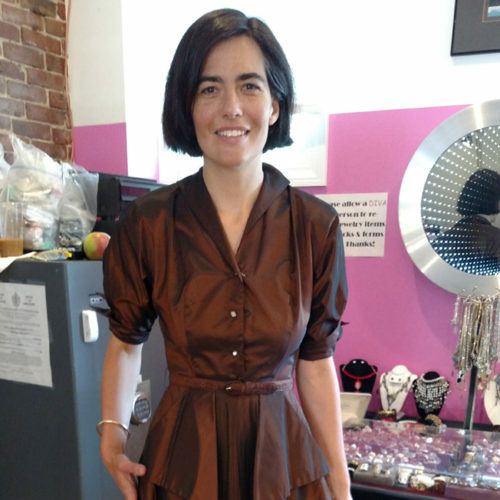 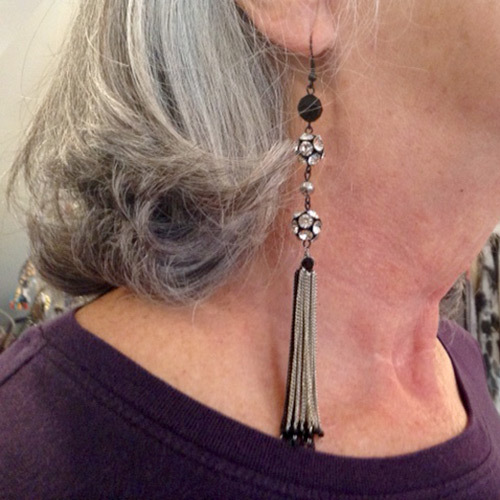 Vintage Celia Sebiri mother of pearl and onyx torsade with matching earrings. 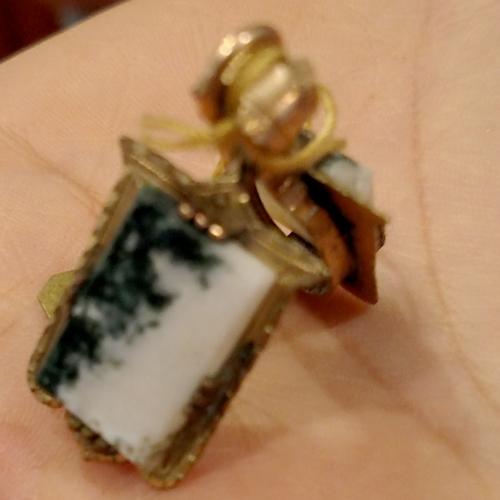 Antique Victorian Moss agate double-sided gold locket. 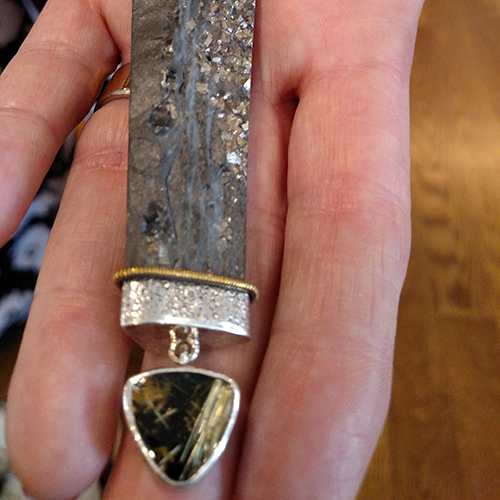 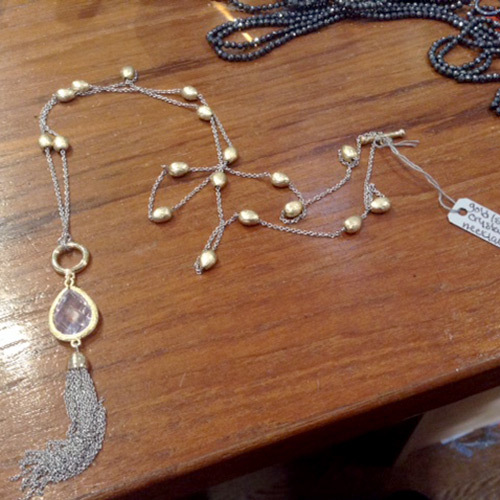 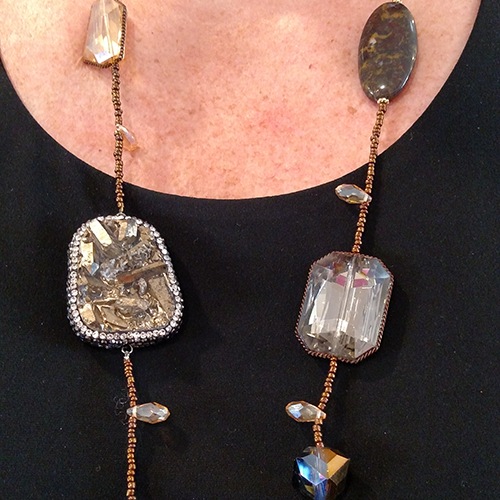 Amy Kahn Russell 18k, sterling, pyrite, slate and gold rutilated quartz pendant on crystal necklace. 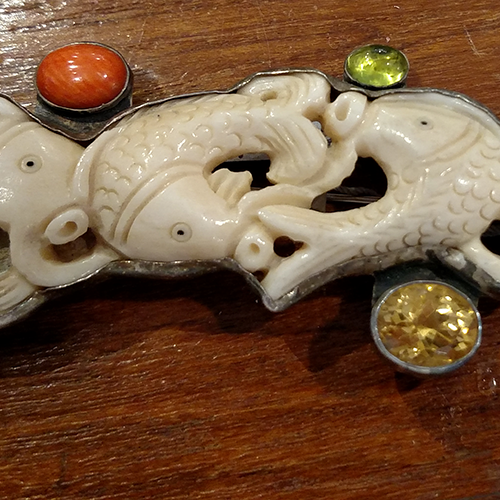 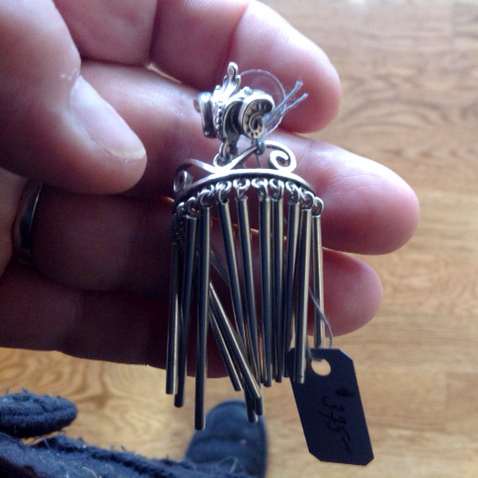 Amy Kahn Russell ivory, citrine, coral and sterling koi fish pin/pendant. 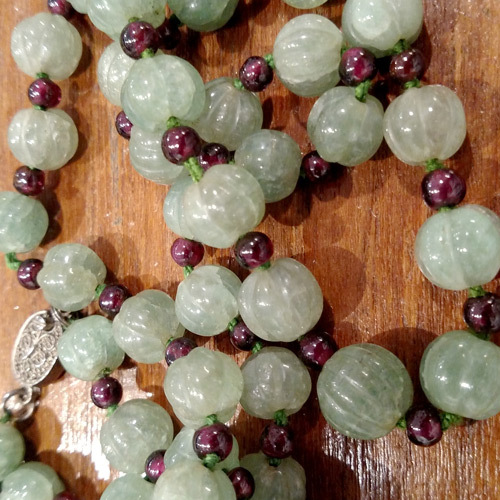 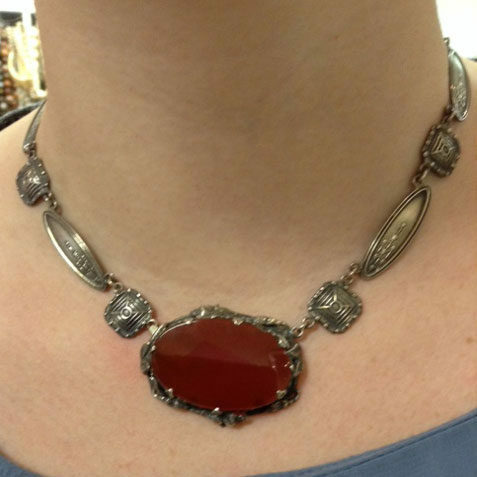 Antique Victorian oxblood coral necklace. 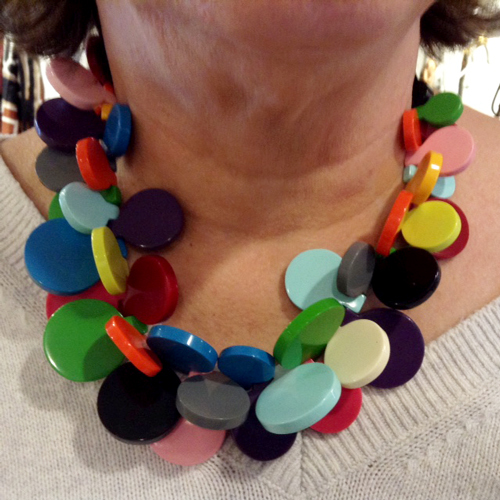 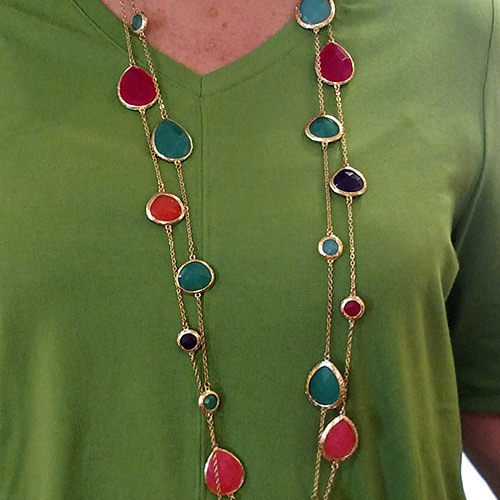 Galalith multicolor disk necklace from Paris. 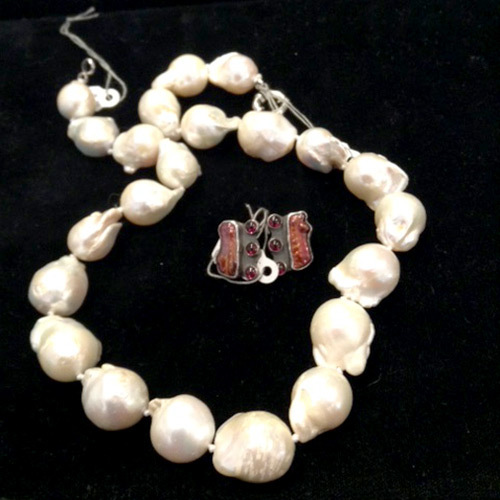 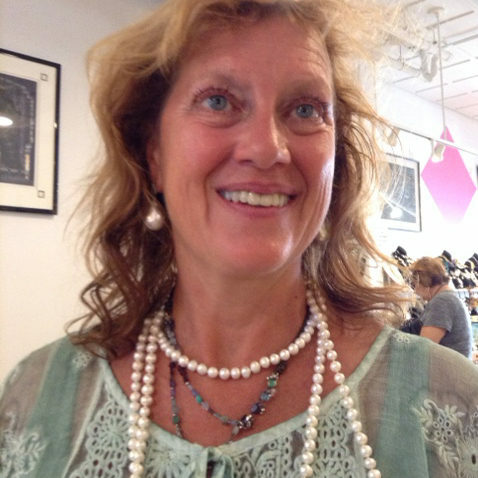 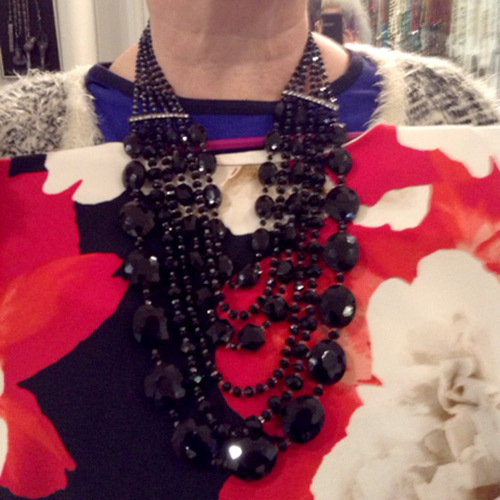 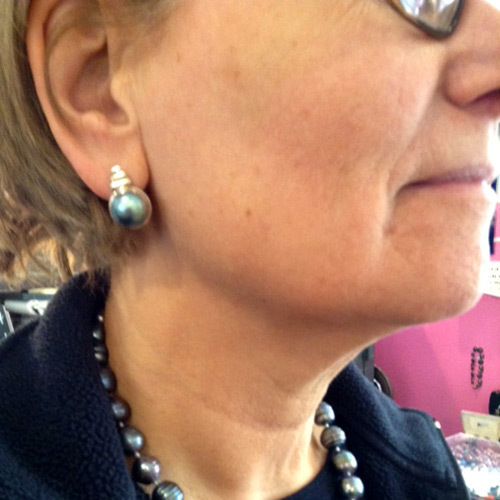 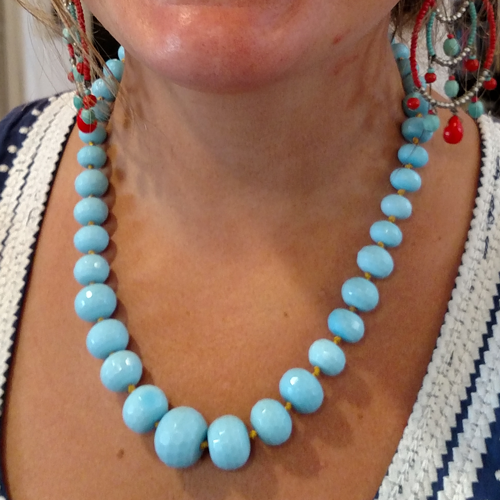 Stunning 60" fresh water pearl necklace and large keishi pearl earrings. 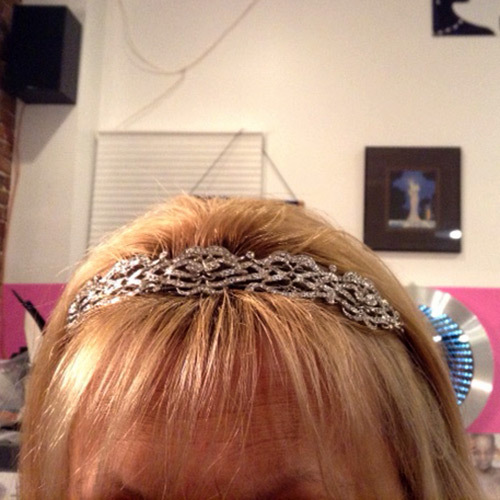 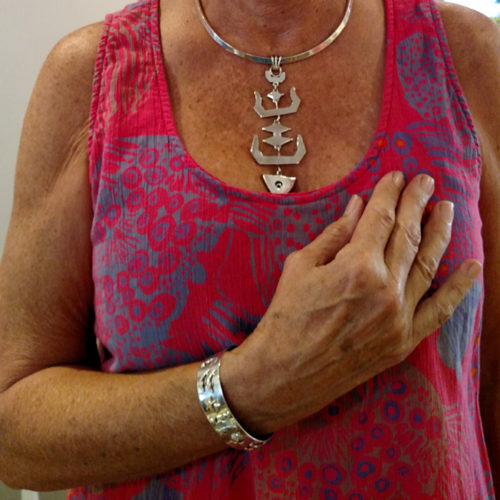 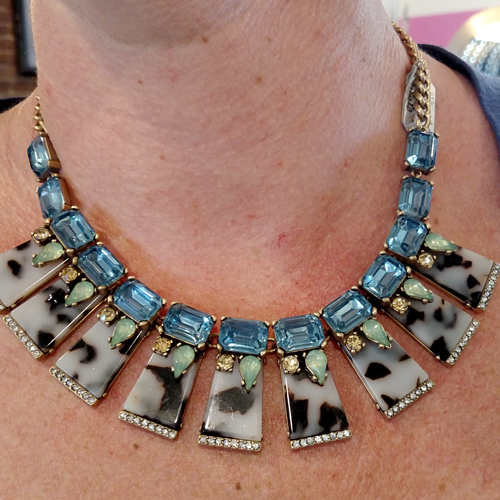 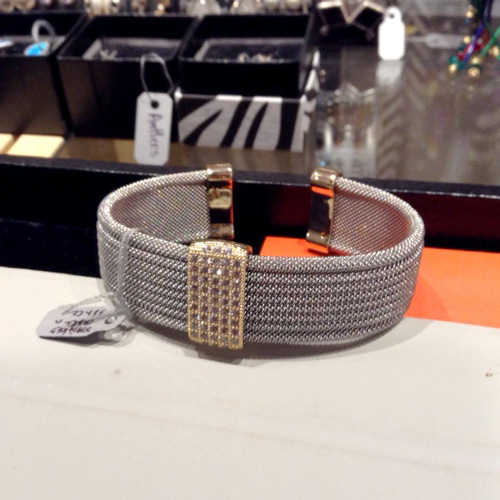 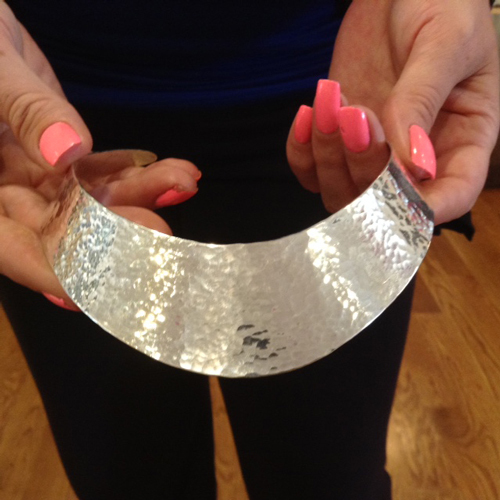 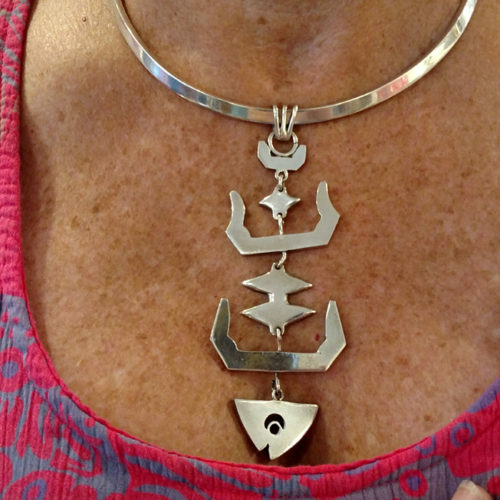 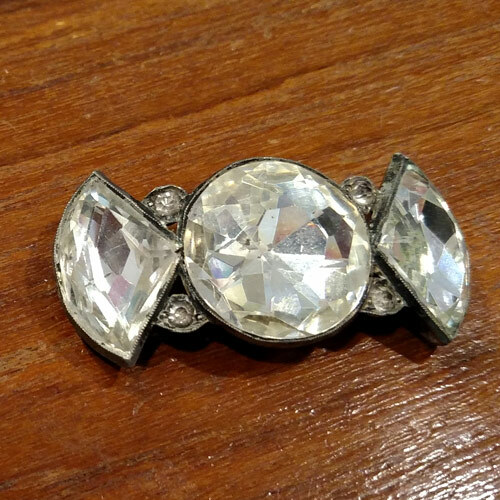 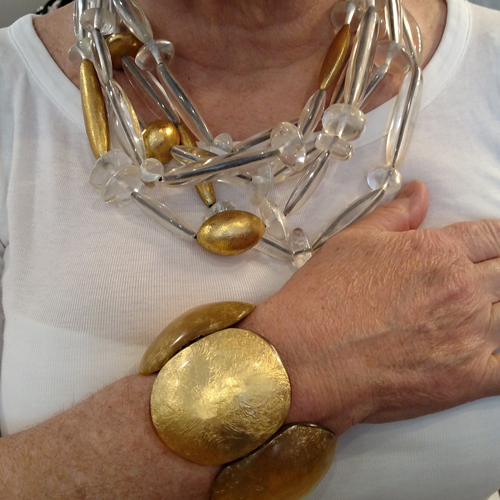 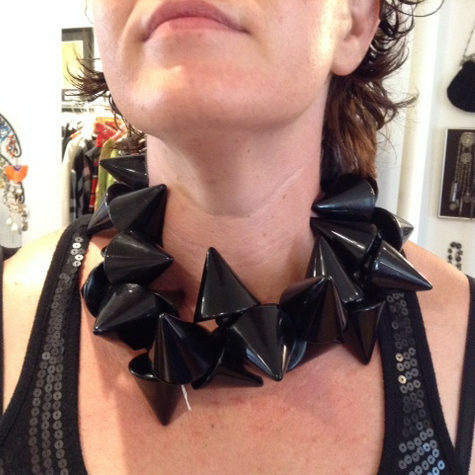 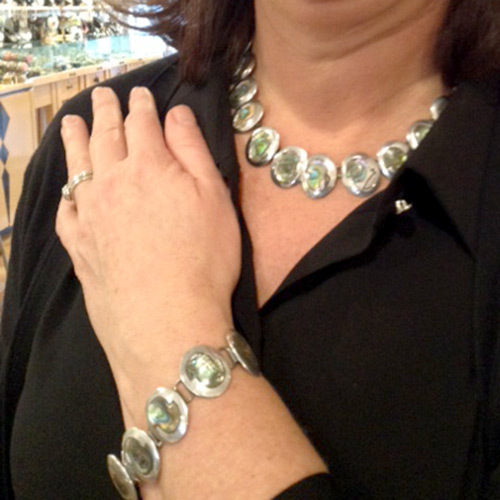 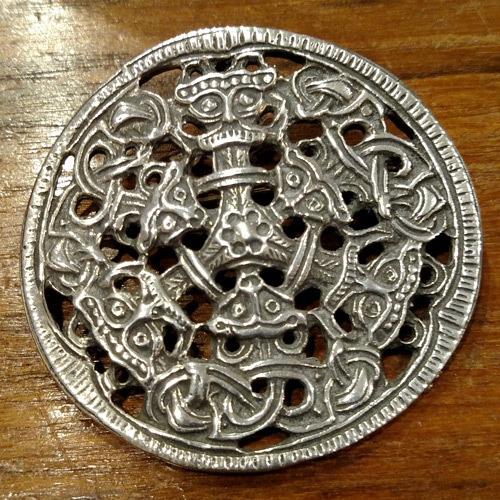 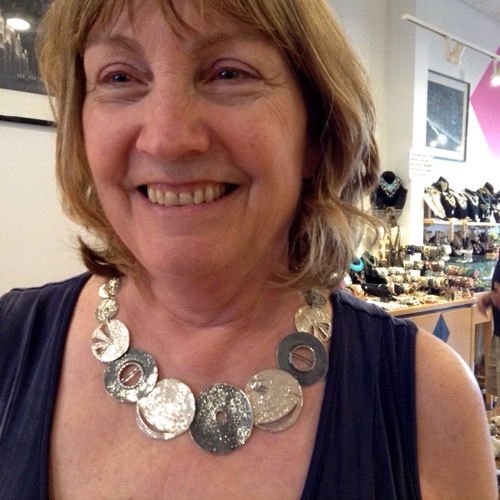 Vintage hand-hammered sterling collar by Celia Sebiri. 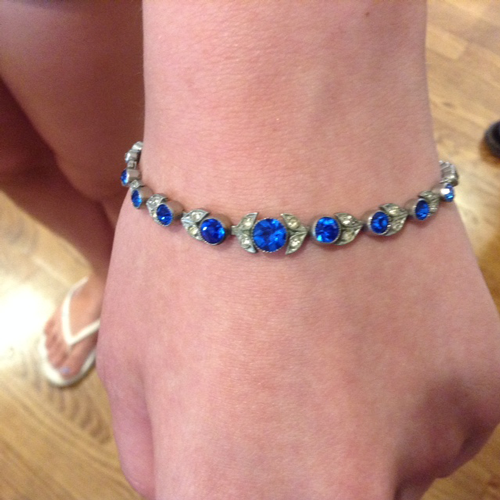 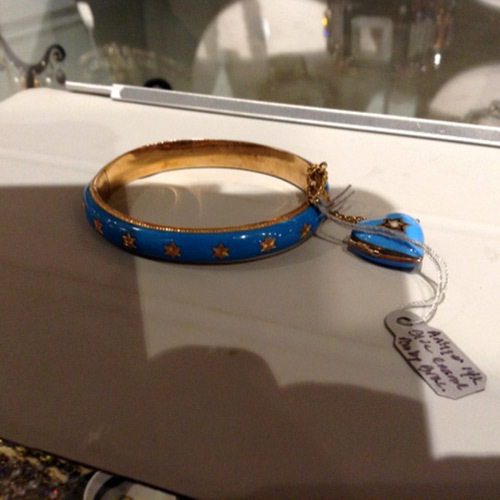 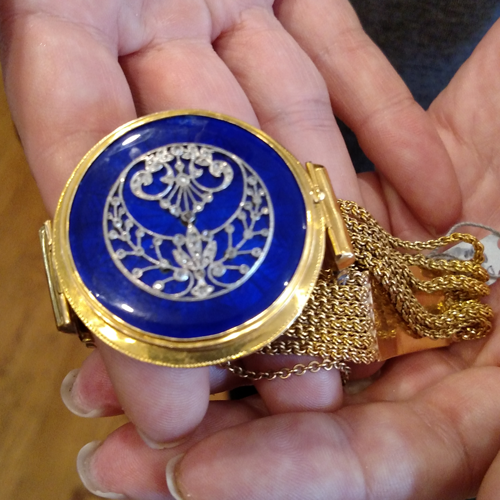 Victorian 18k bracelet with a cobalt enamel and diamond locket top, which opens from the back to hold a picture or hair. 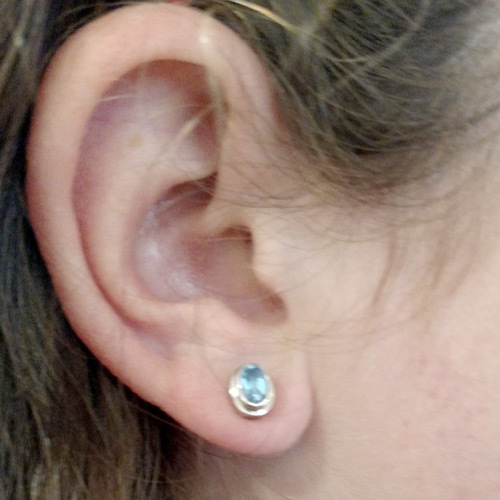 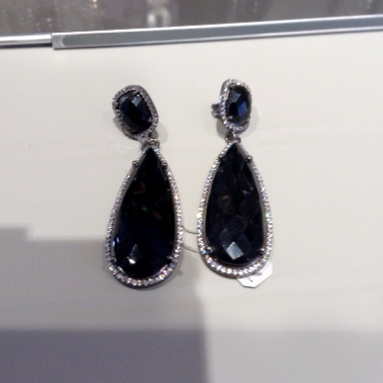 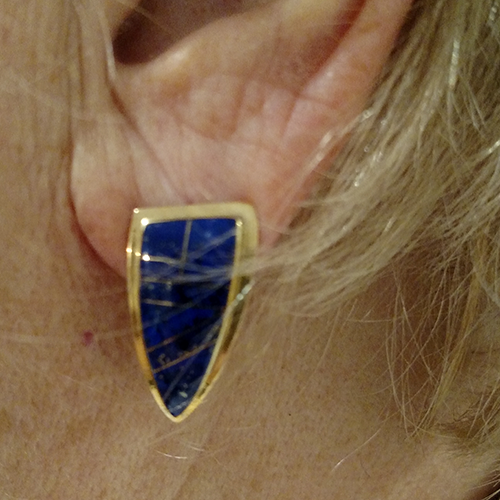 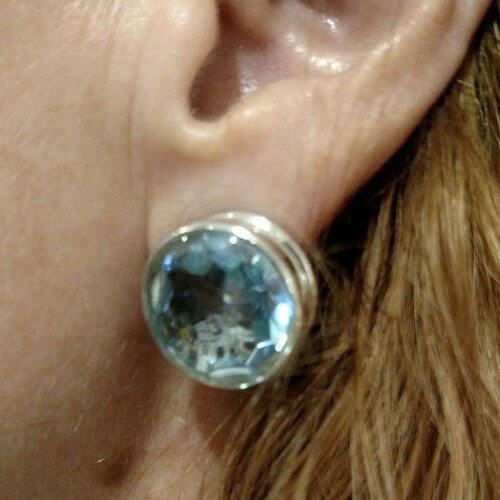 Designer huge blue topaz earrings. 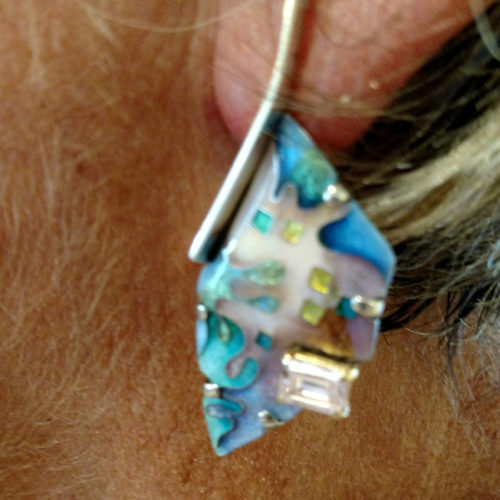 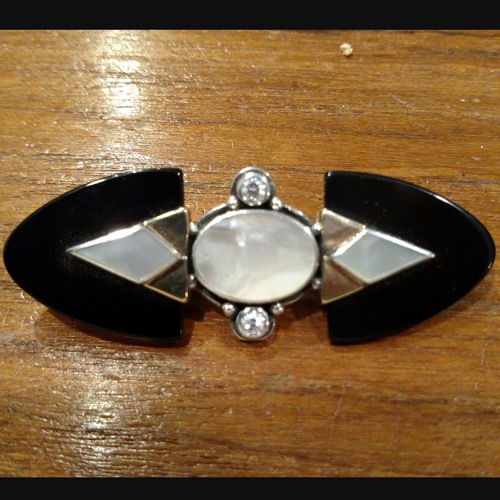 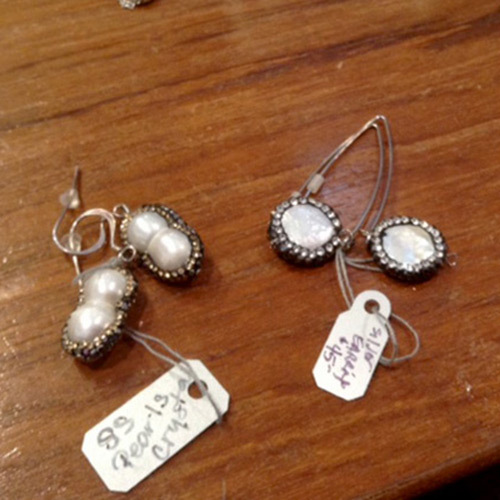 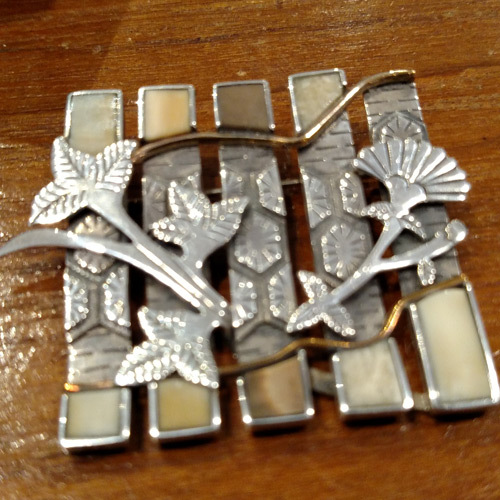 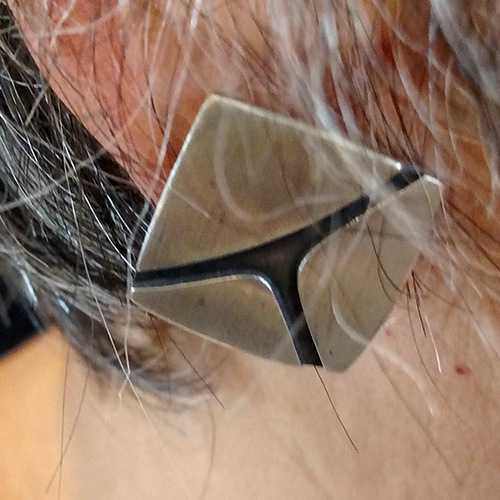 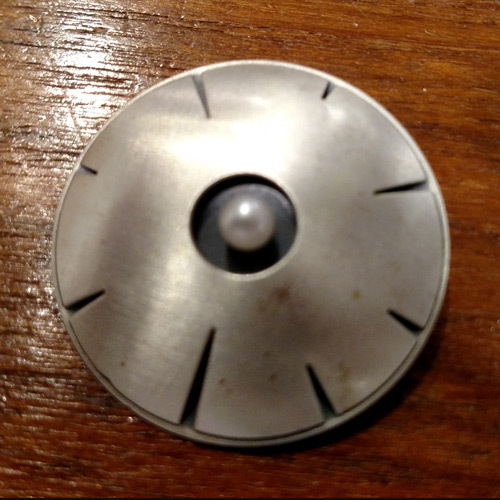 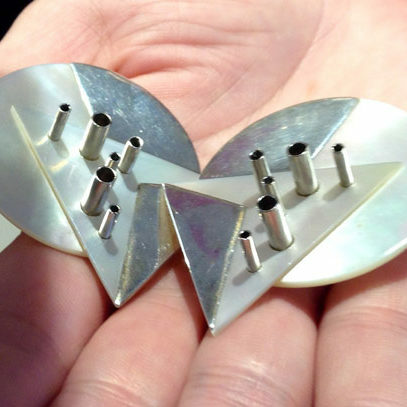 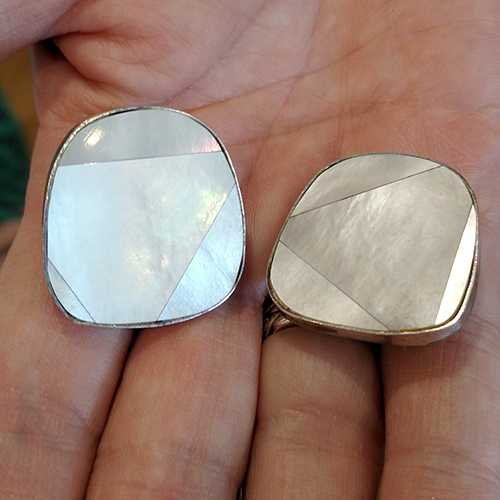 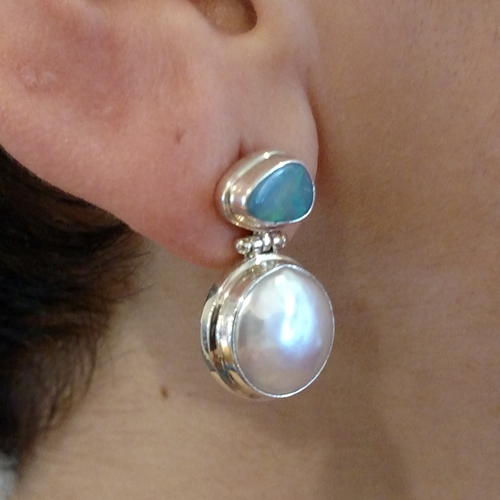 Vintage modernist mother of pearl and sterling ear clips. 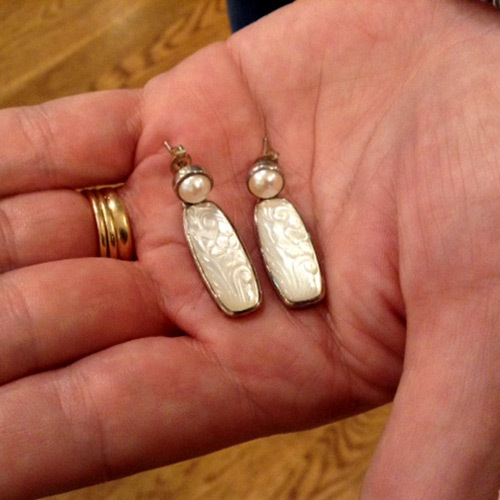 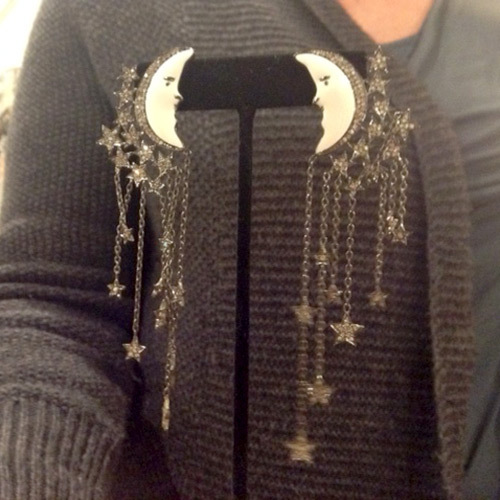 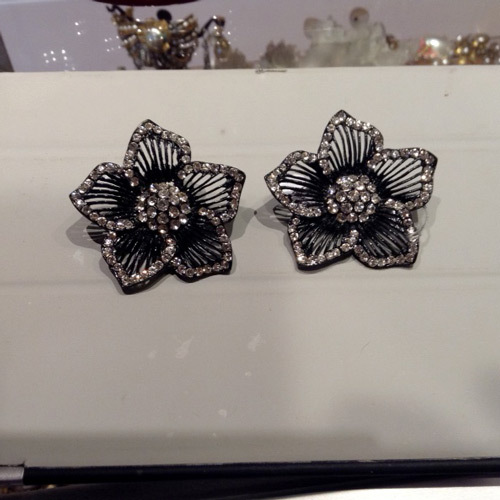 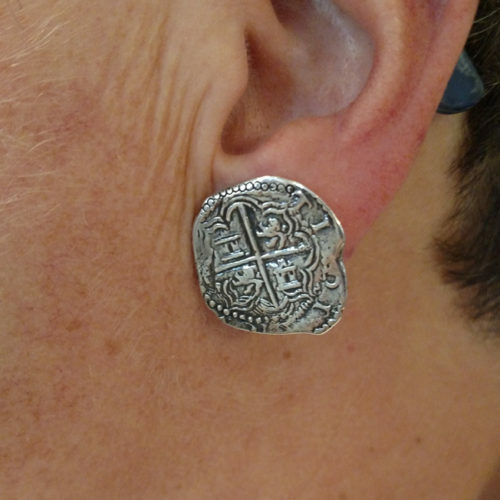 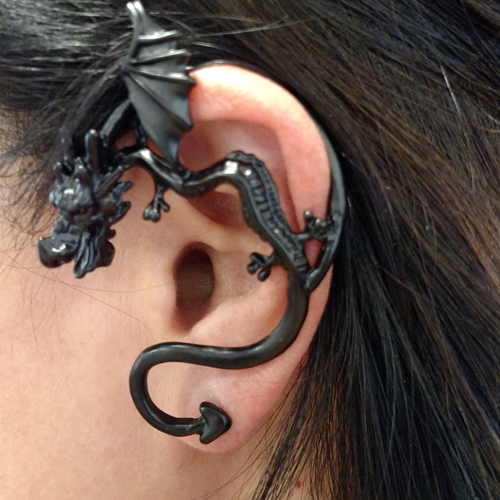 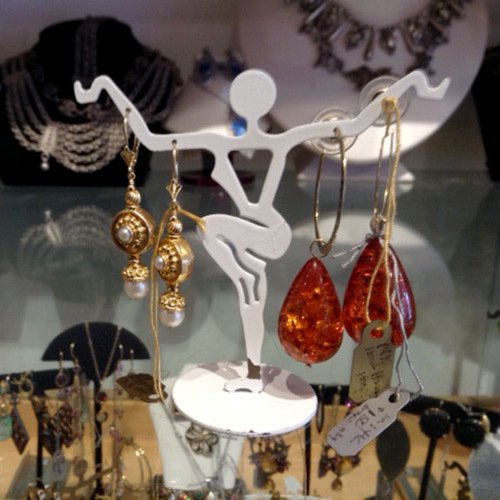 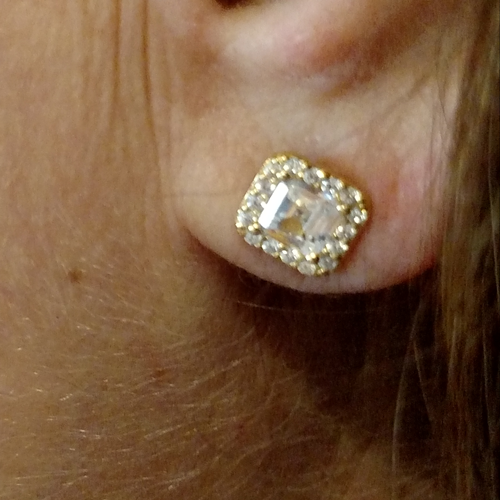 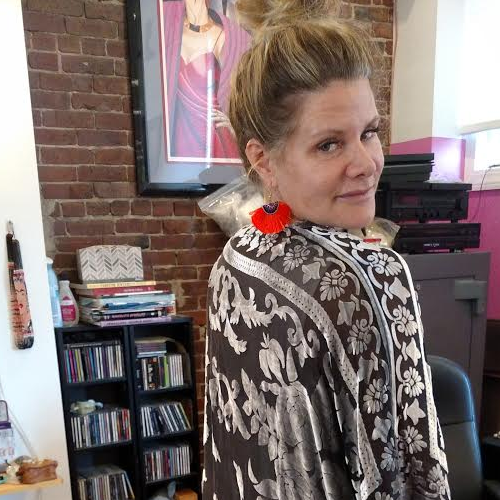 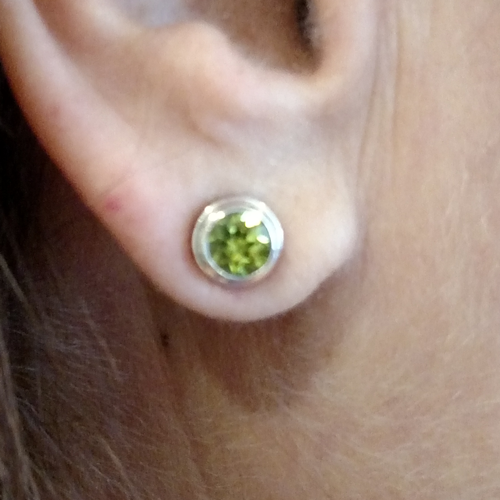 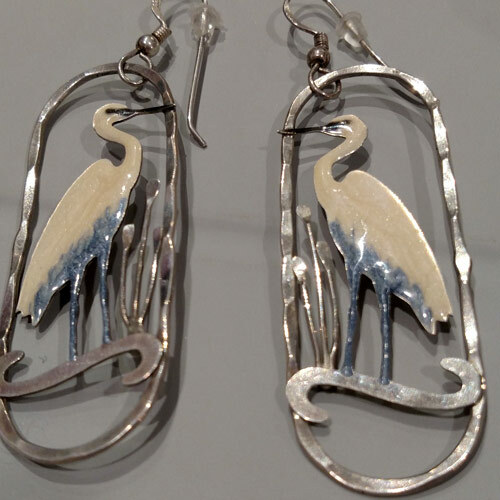 Studio sterling and 18k earrings. 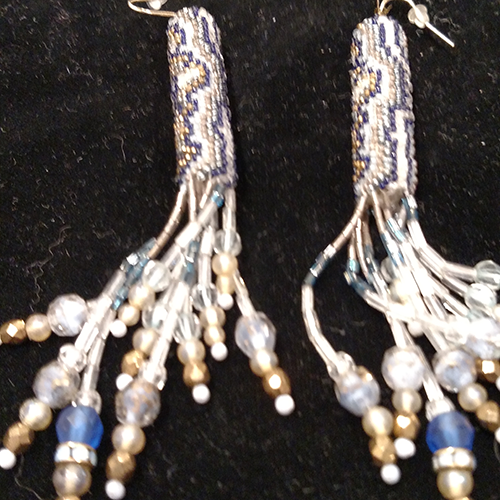 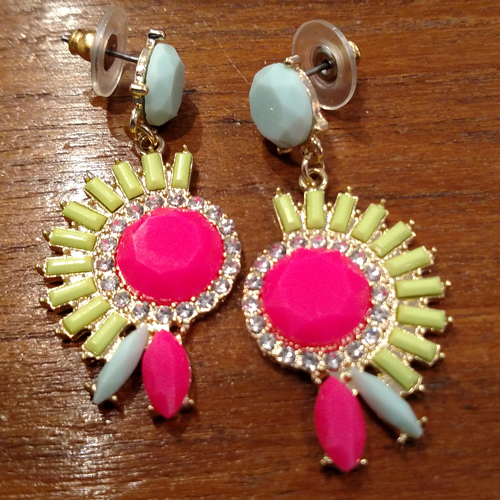 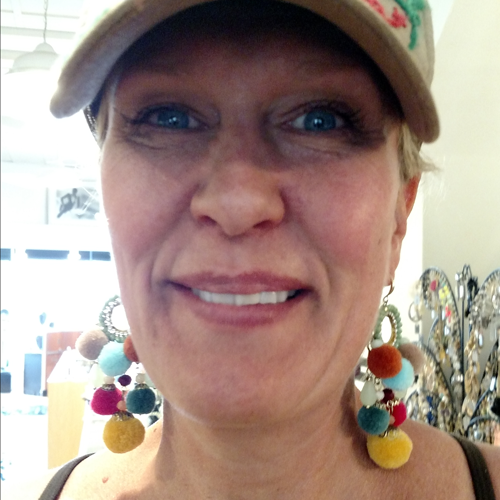 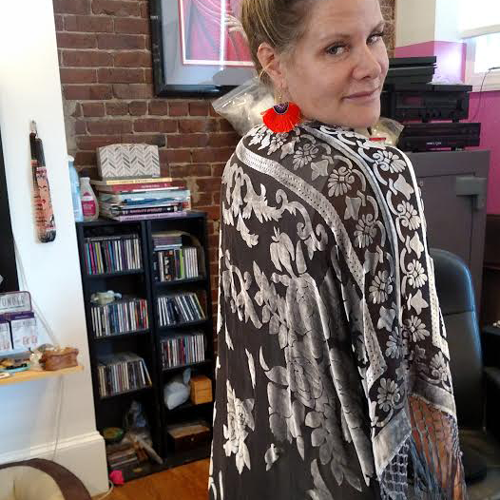 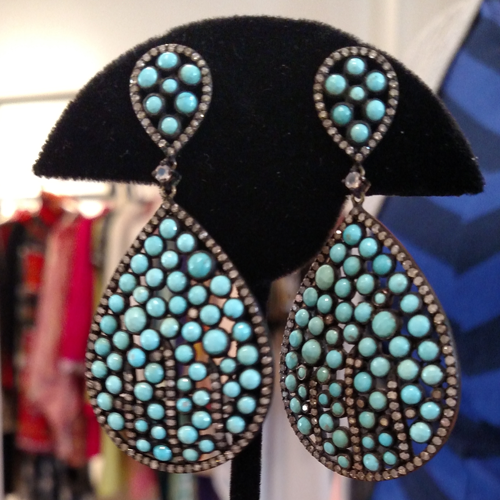 Peyote stitch and gemstone earrings by Natalie Taiz. 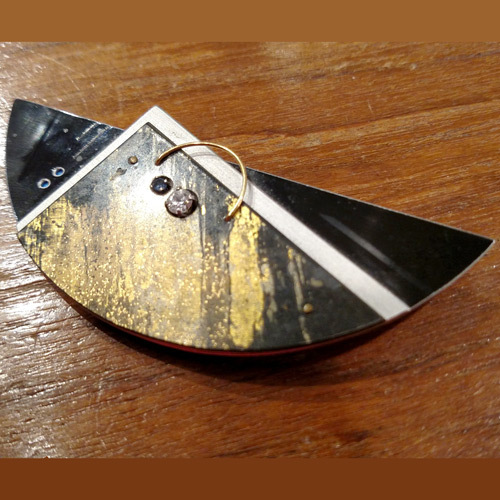 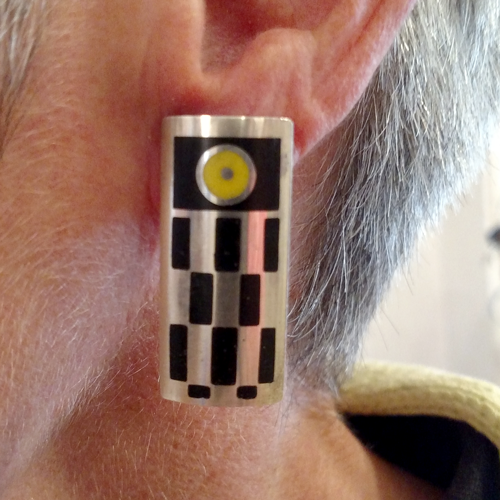 Studio sterling, black and yellow enamel earrings. 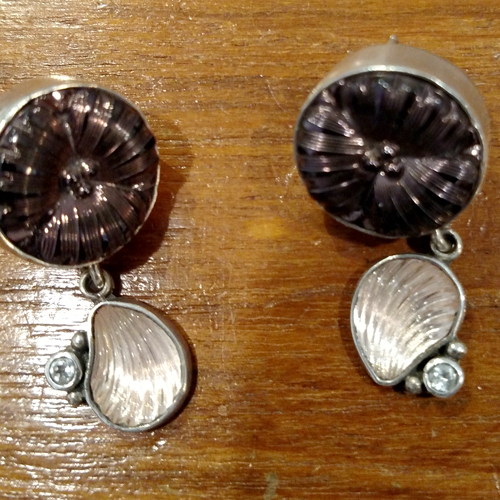 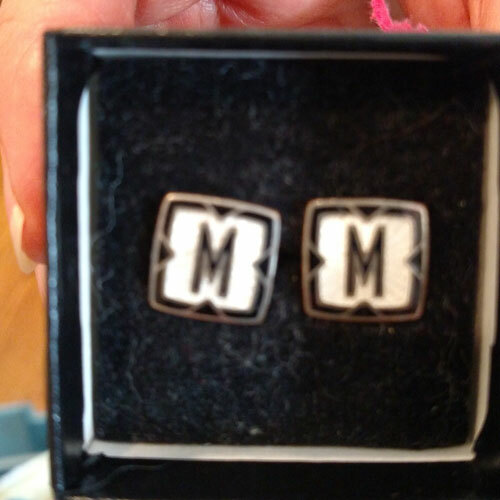 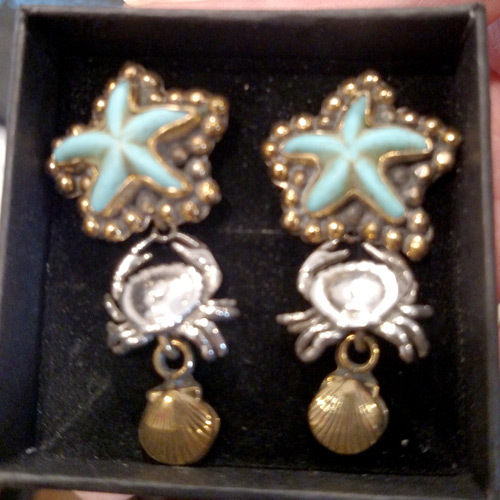 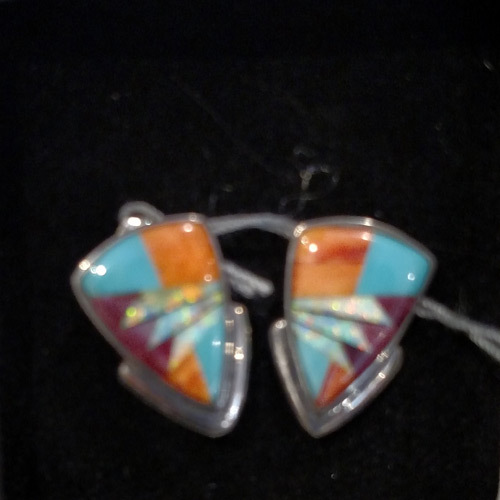 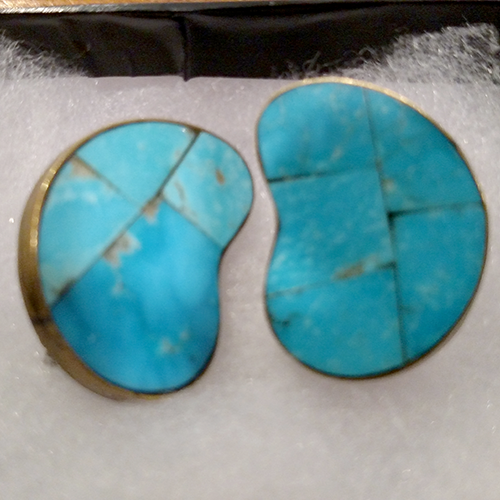 Vintage Celia Sebiri intarsia mother of pearl earrings. 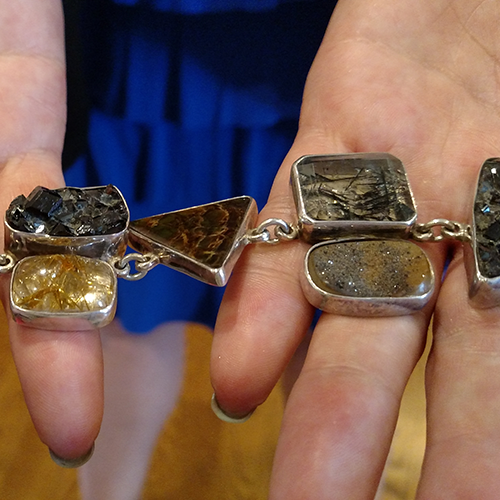 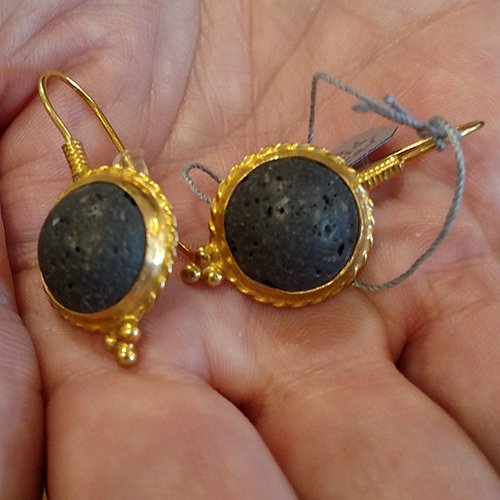 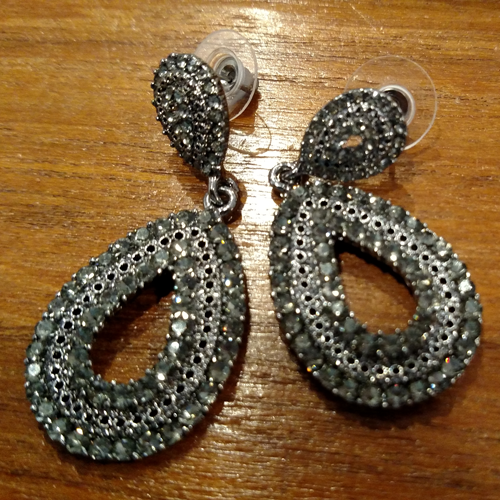 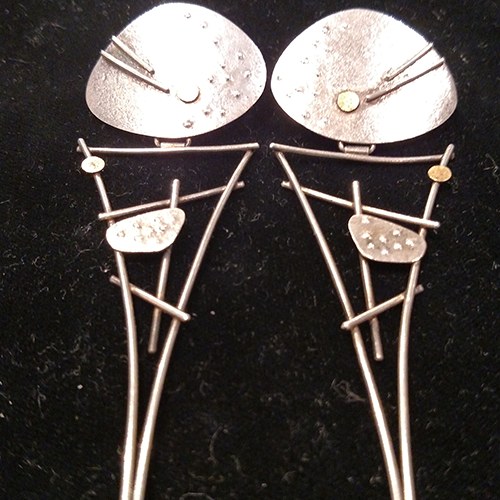 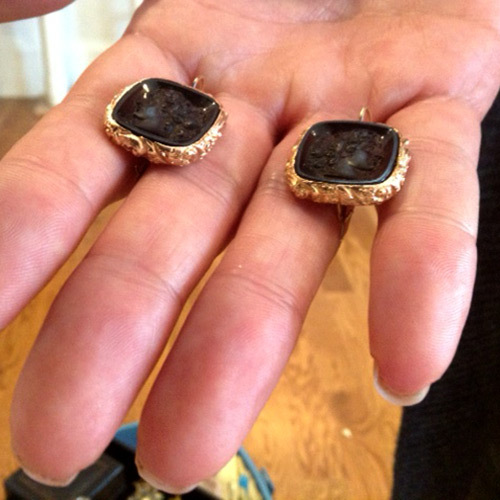 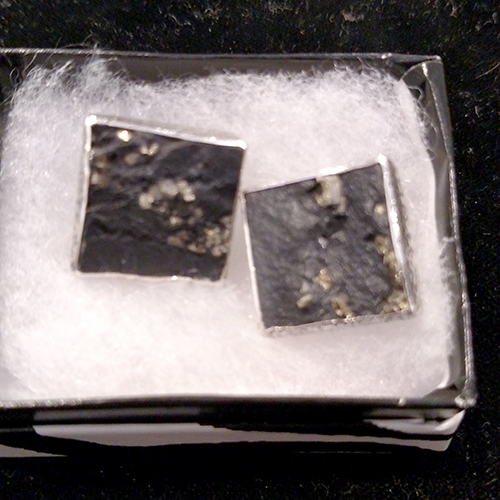 Amy Kahn Russell sterling, pyrite, 18K and slate earrings. 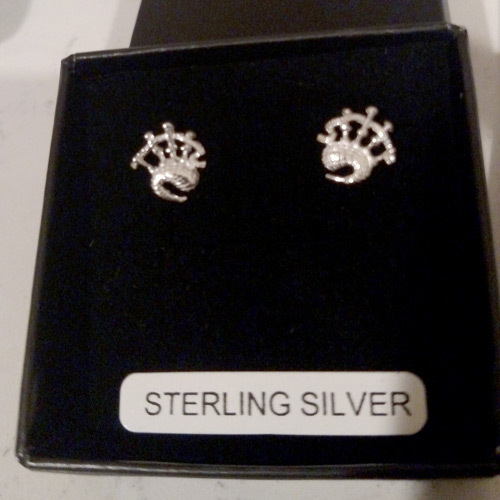 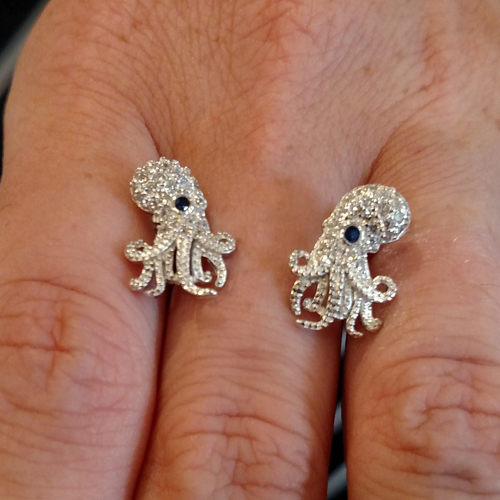 Sterling and cz octopus earrings with sapphire eyes. 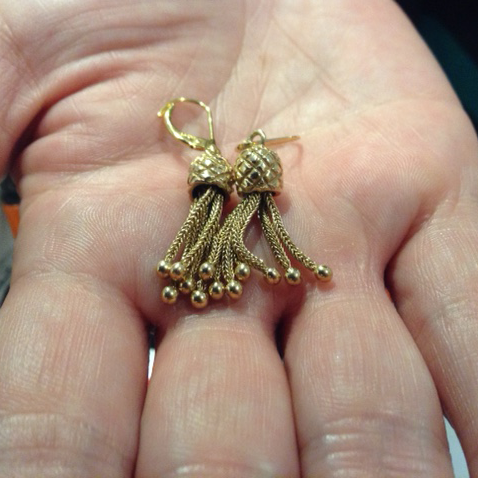 Antique 18K gold tassle earrings. 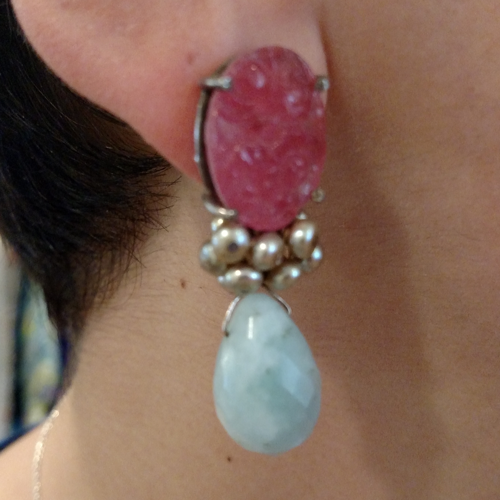 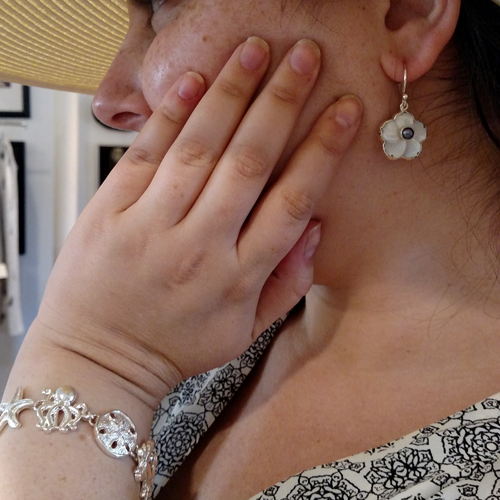 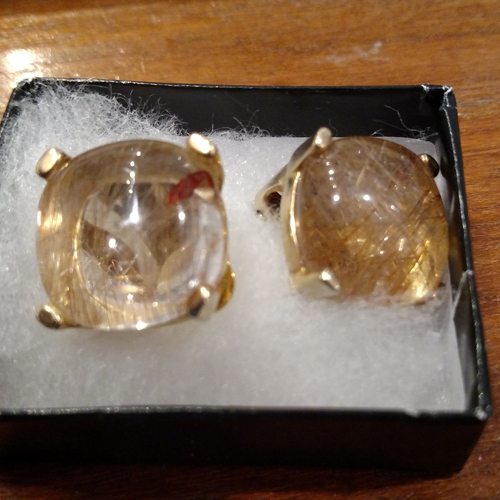 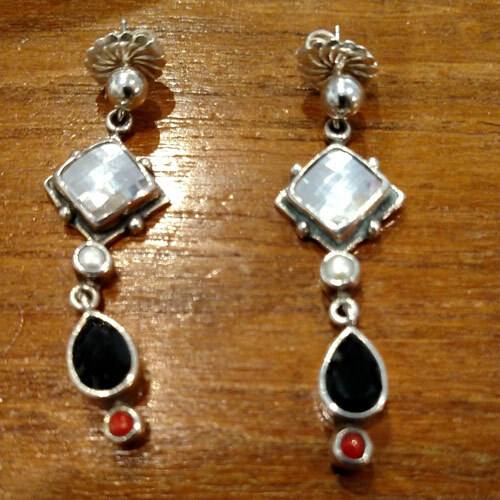 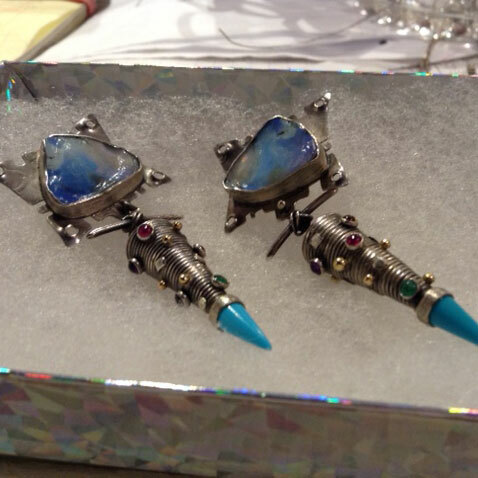 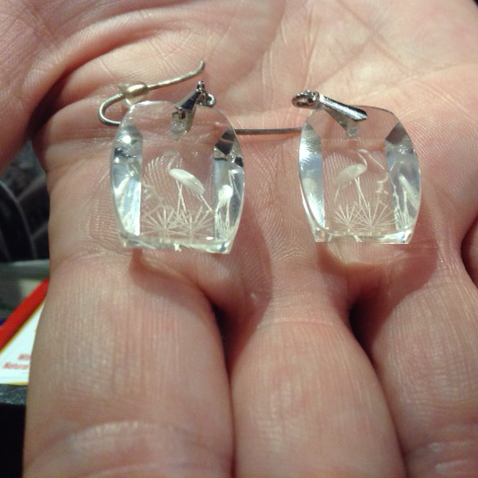 Antique rock crystal and sterling earrings. 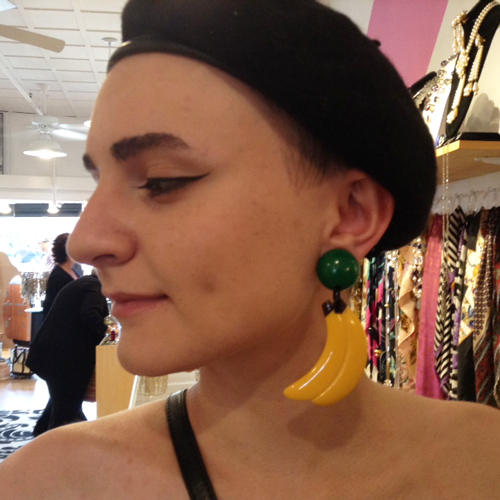 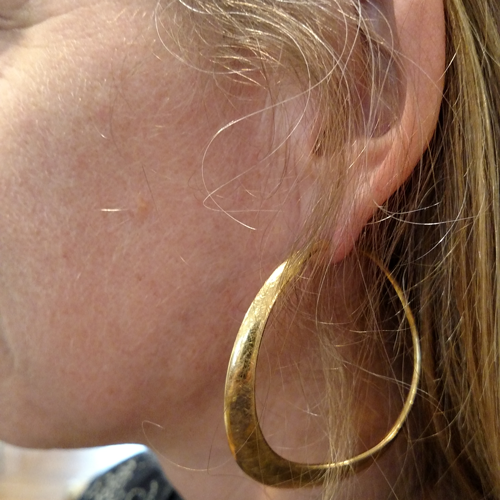 Galalith banana earrings from France. 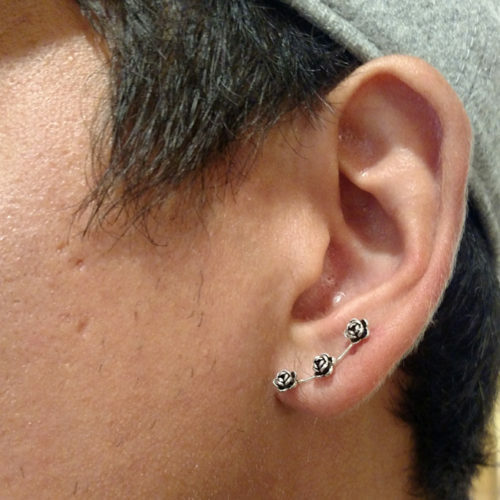 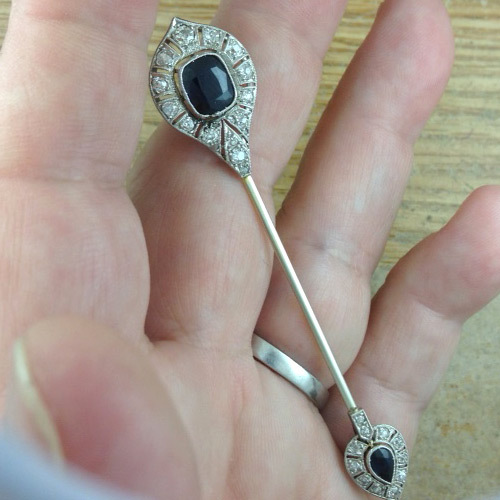 Oxidized sterling and cz hoops. 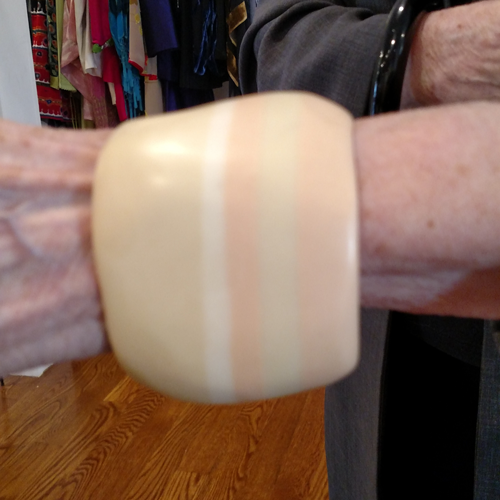 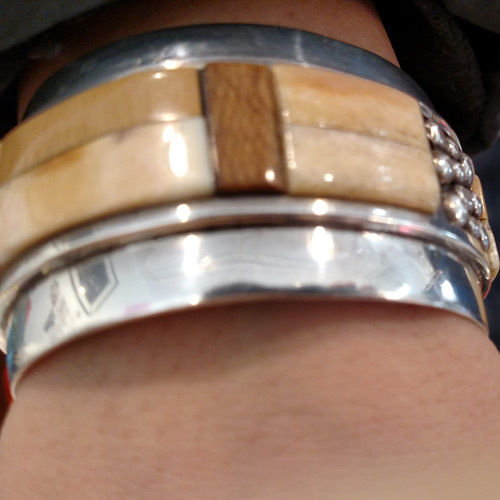 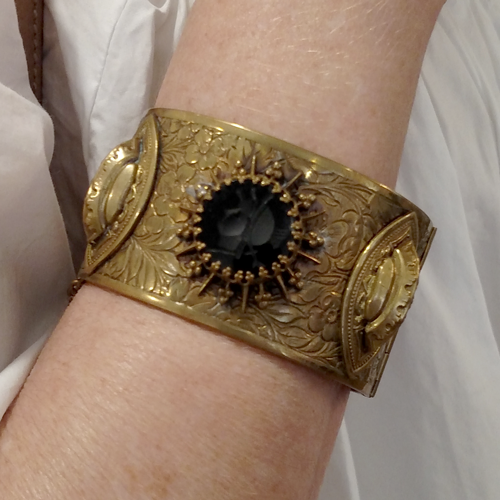 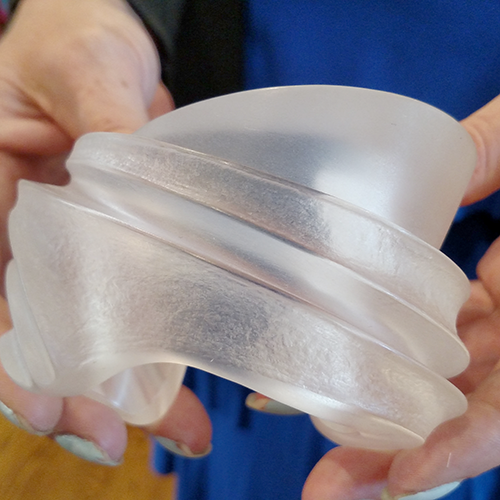 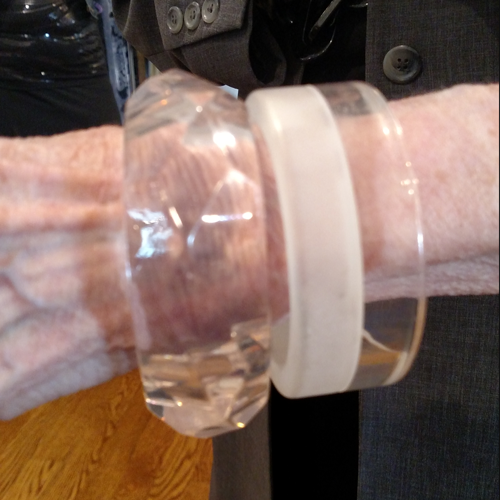 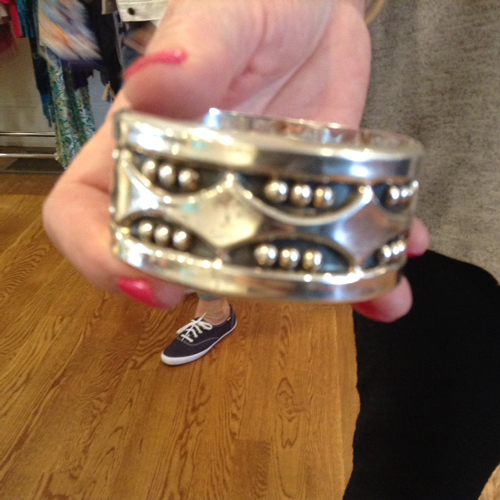 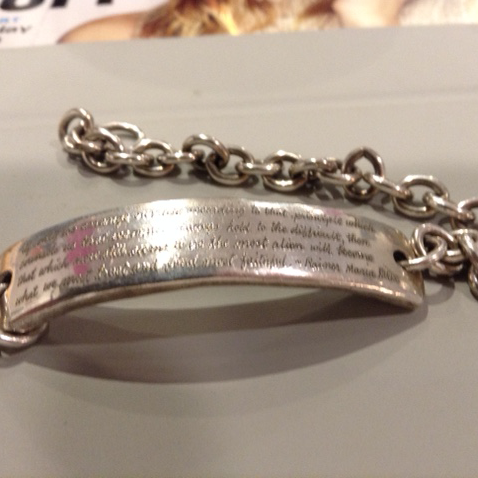 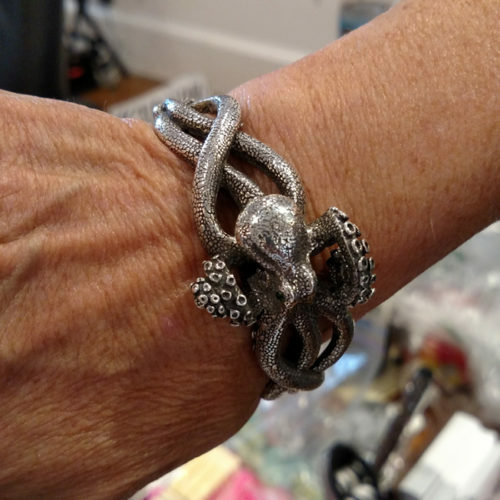 Vintage huge sterling cuff bracelet by Parenti, Florence. 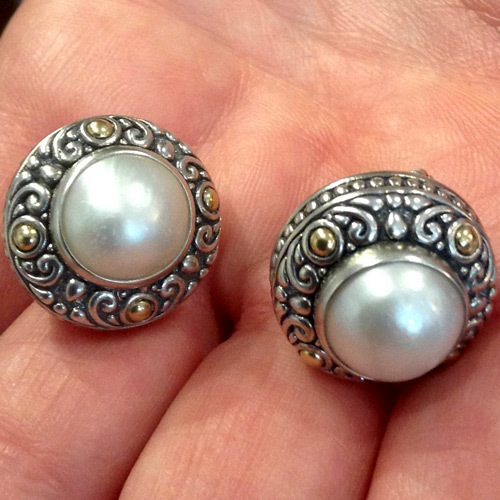 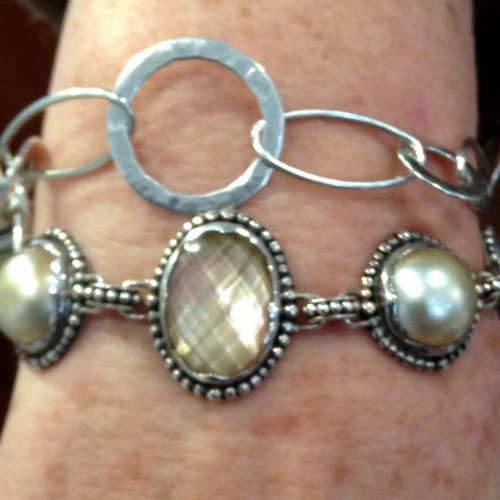 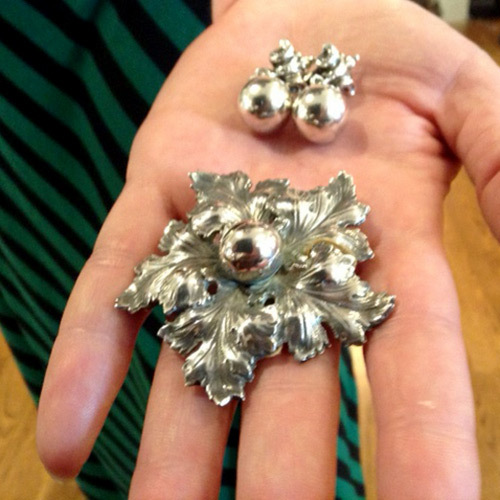 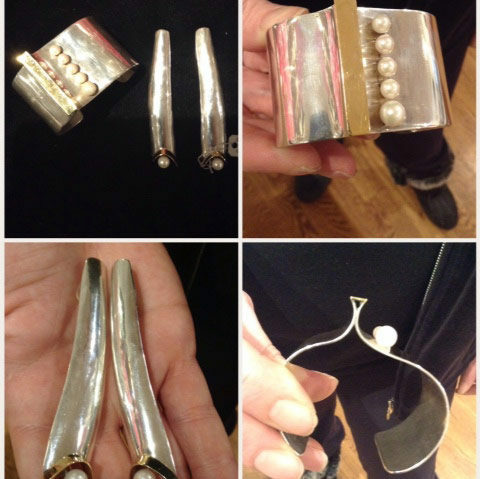 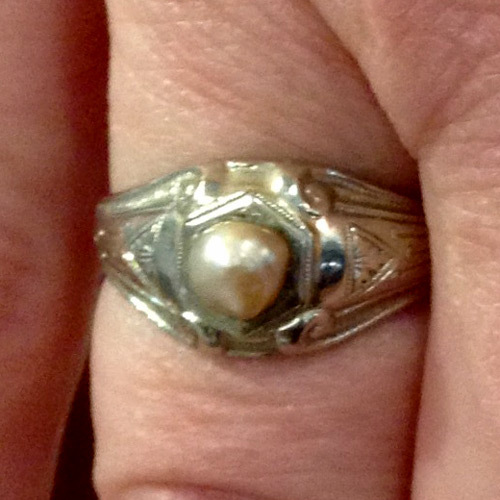 Vintage sterling, 18K and cultured pearl cuff bracelet and earrings by Betsy Fuller. 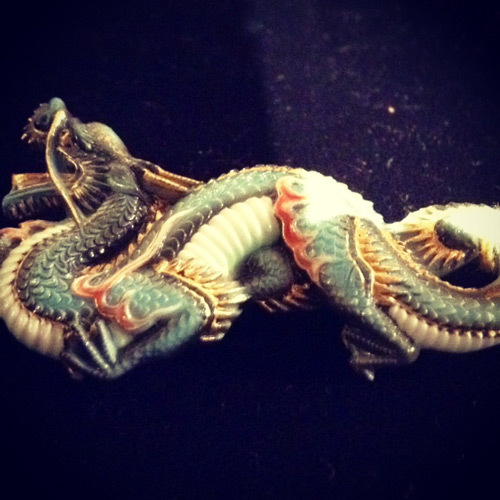 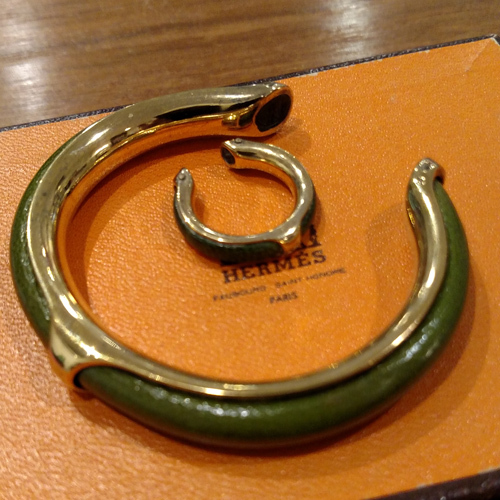 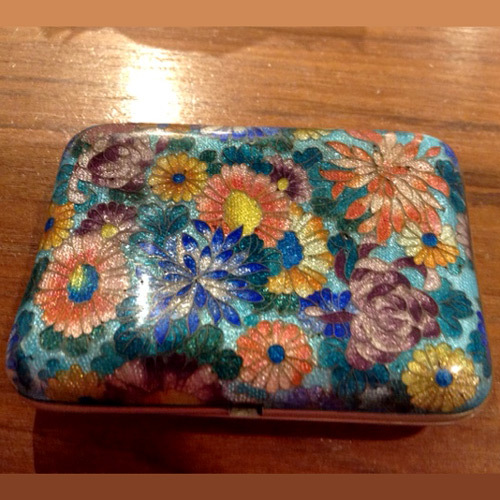 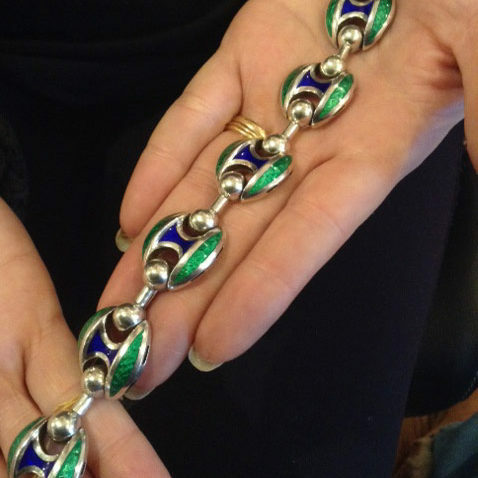 Vintage sterling and enamel Gucci bracelet. 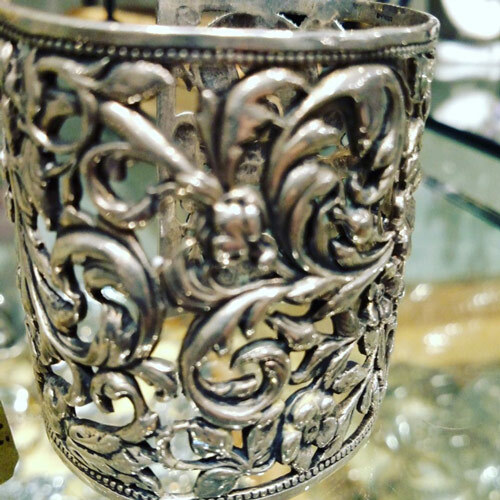 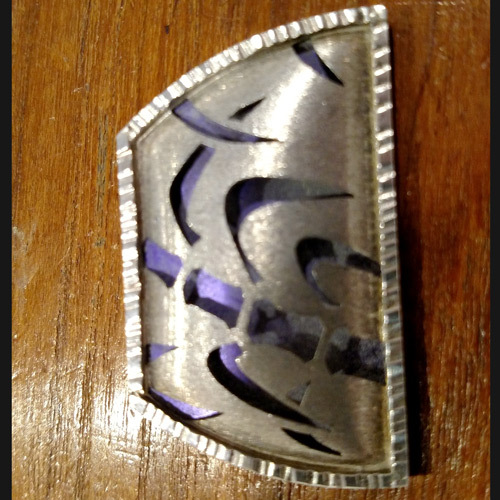 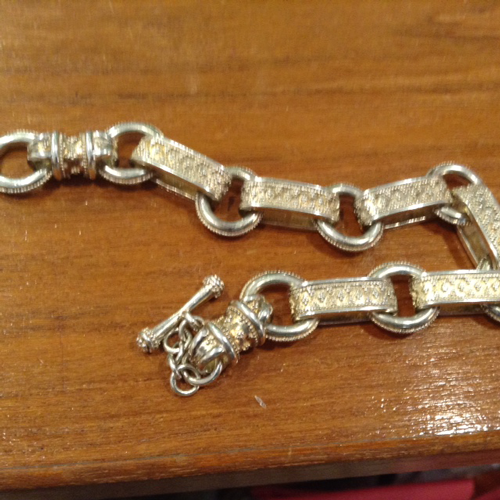 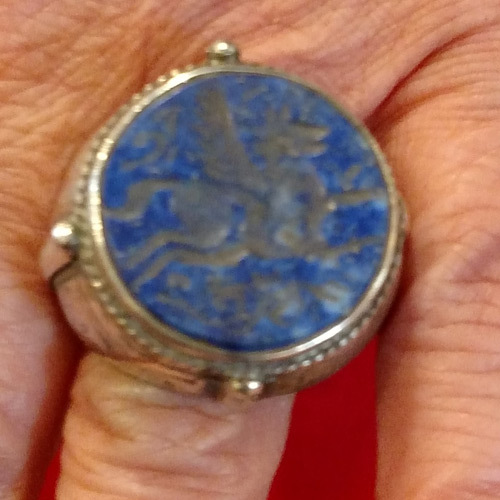 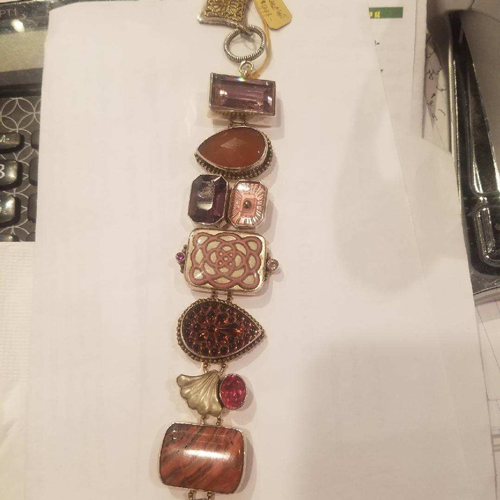 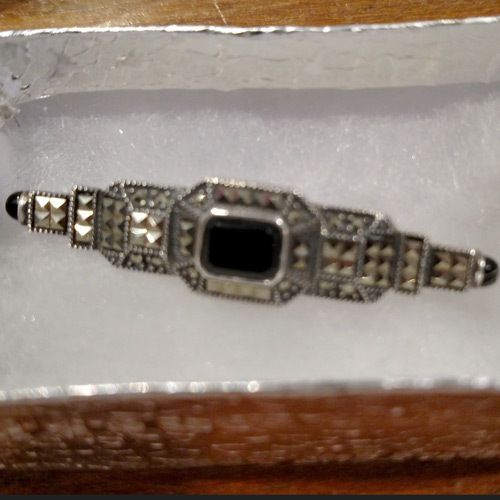 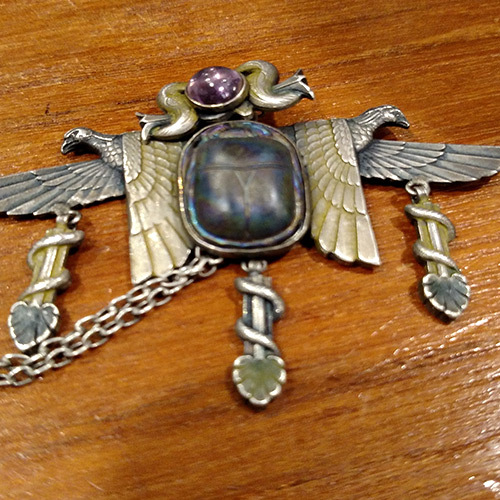 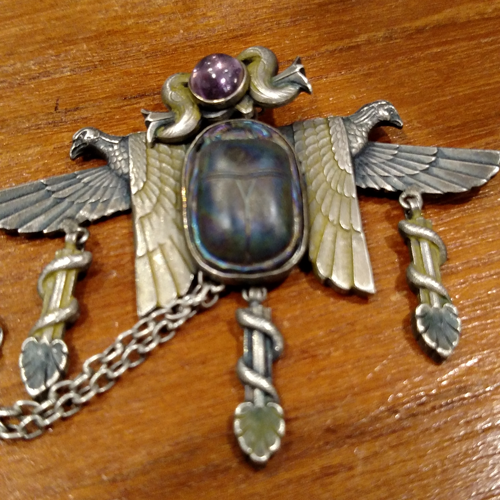 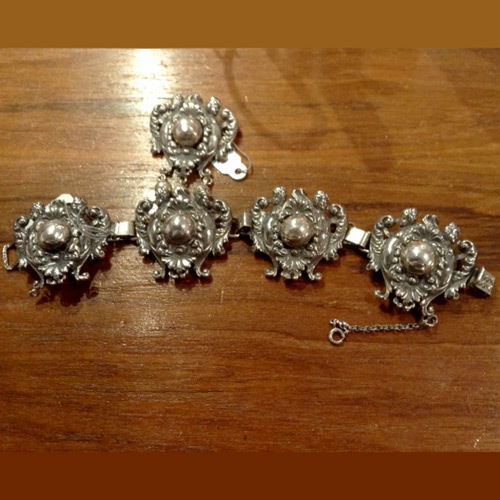 Antique Middle-Eastern Sterling buckle bracelet. 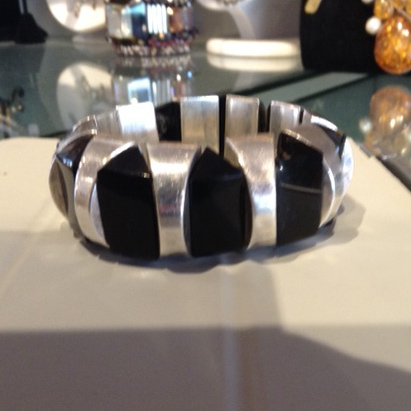 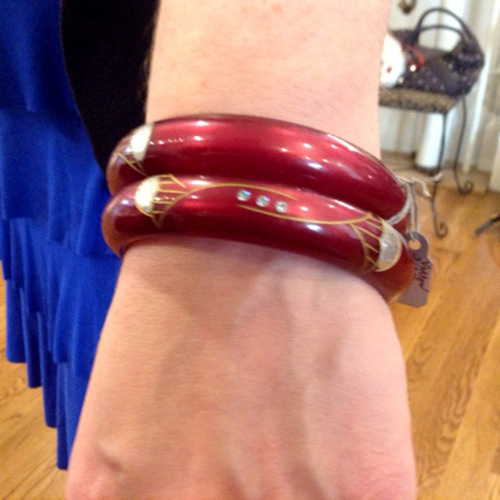 Margaret Thurman for Echo of the Dreamer sterling, opal, black garnet and rutilated quartz bracelet. 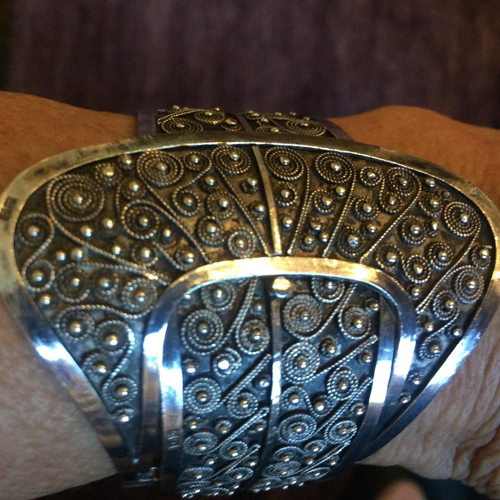 Vintage signed Mexican sterling clamper bracelet. 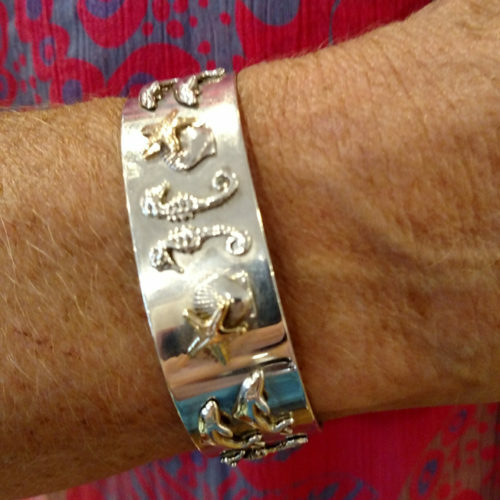 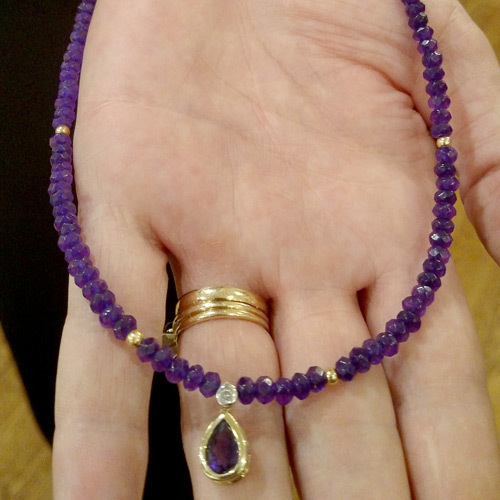 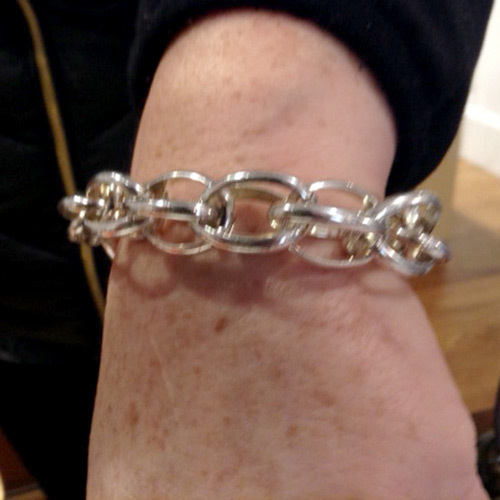 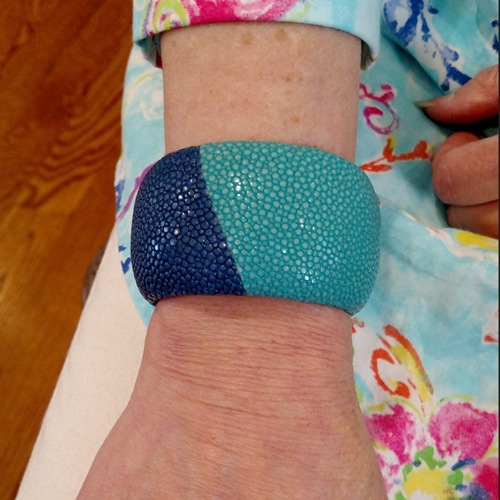 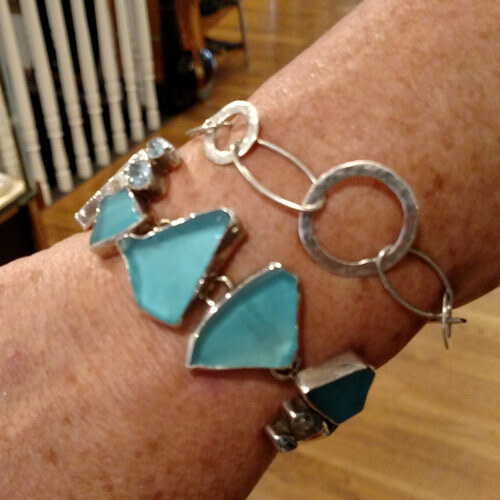 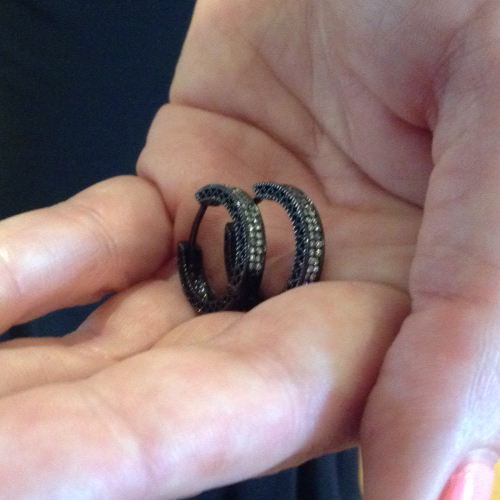 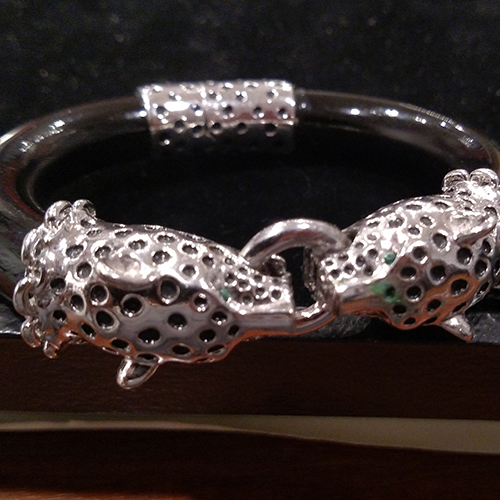 Sterling silver bracelet with extensive granulation by Maija Neimenis. 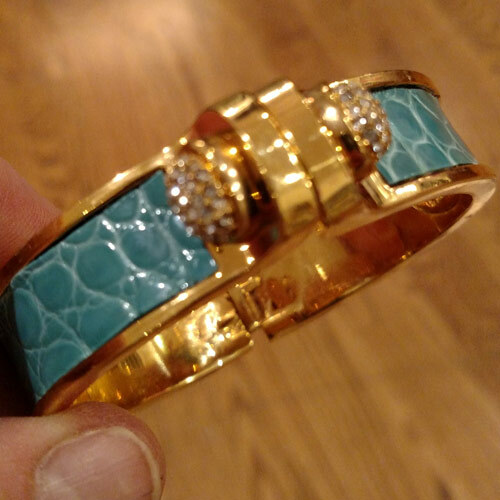 Large resin bangle Dinosaur by design. 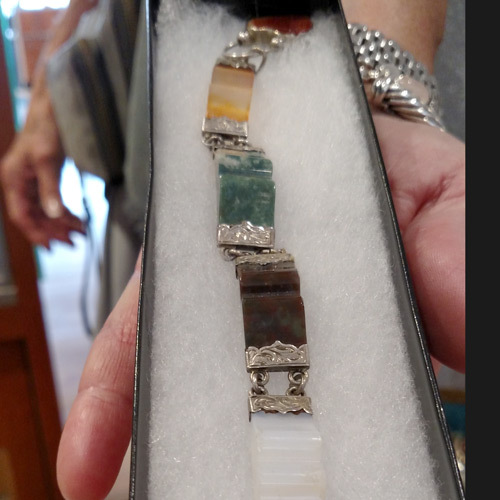 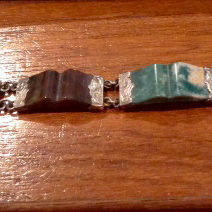 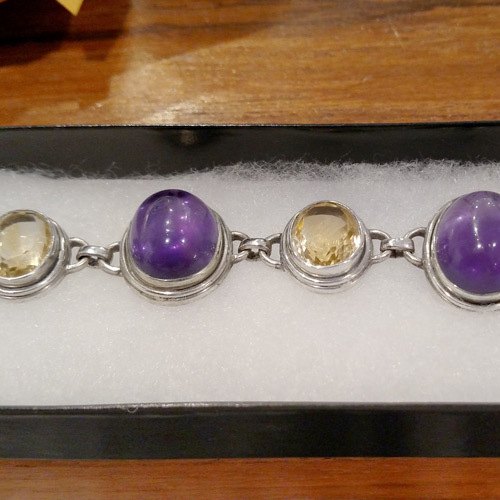 Antique sterling and Scottish agate bracelet. 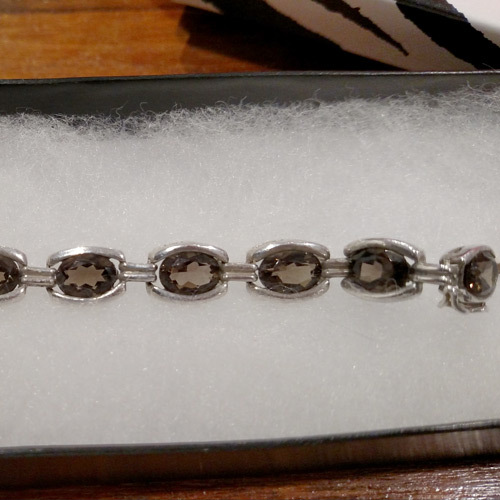 Sterling and smoky topaz bracelet. 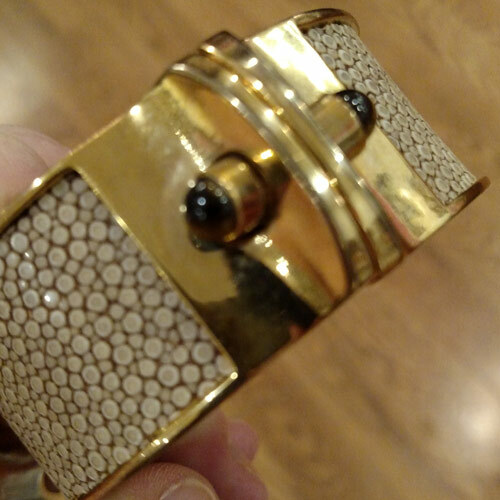 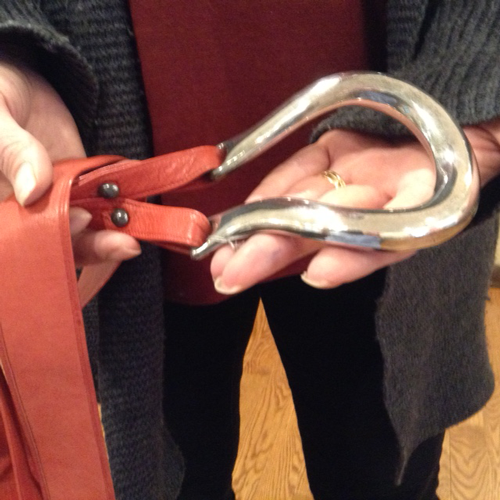 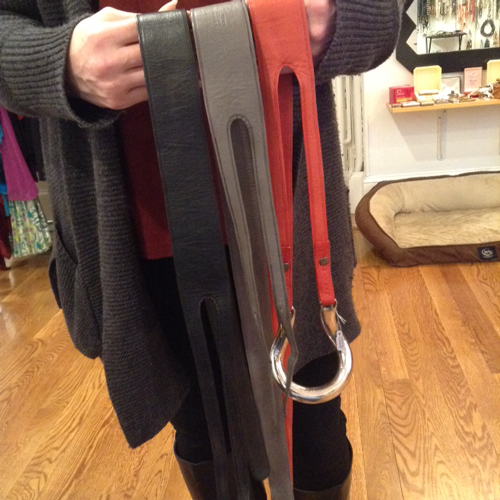 Vintage sterling Elsa Peretti, Tiffany & Co. exchangeable leather belt. 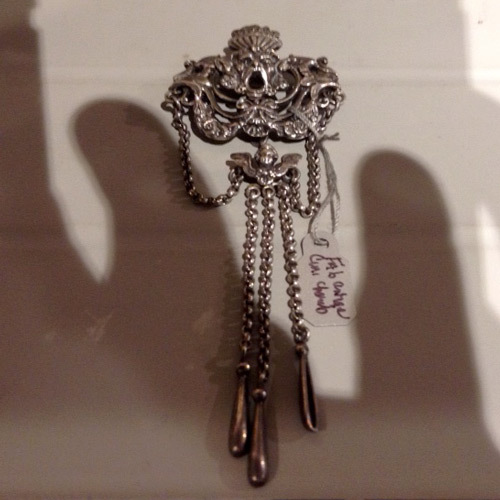 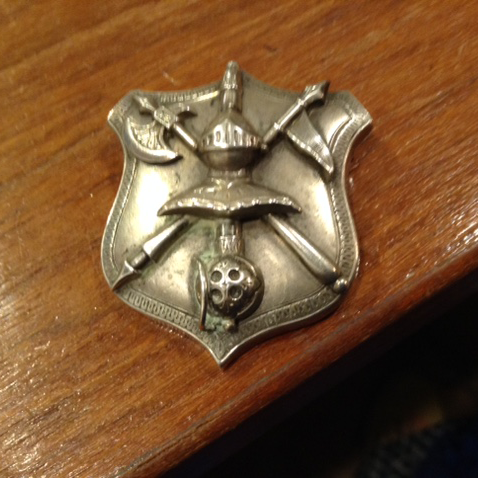 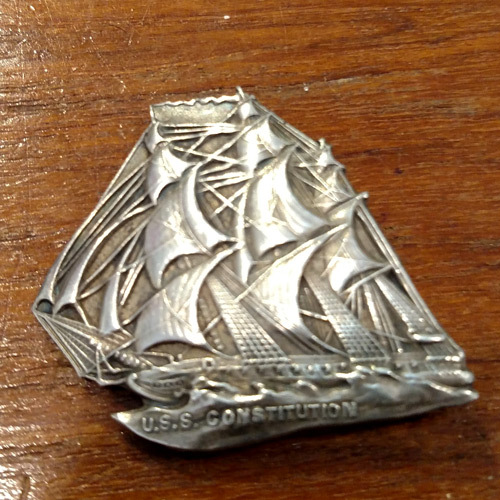 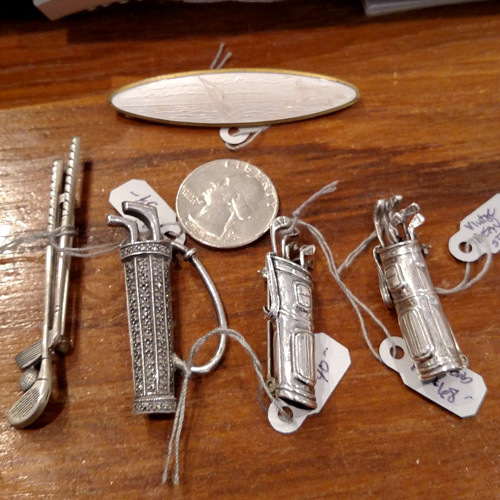 Antique silver swords and knight pin. 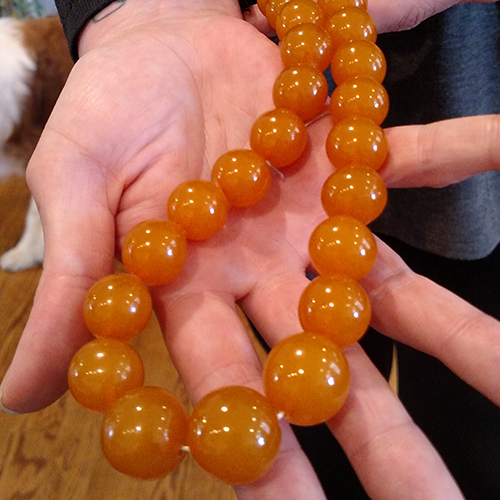 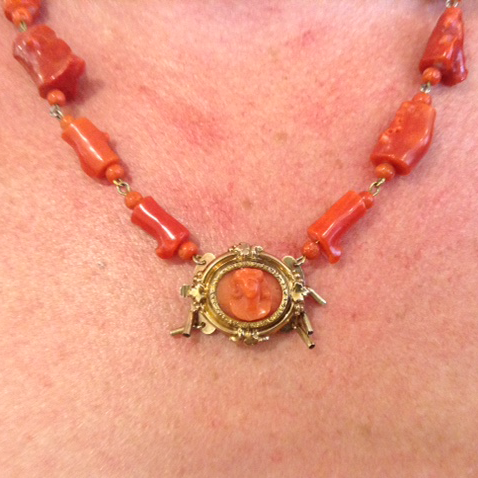 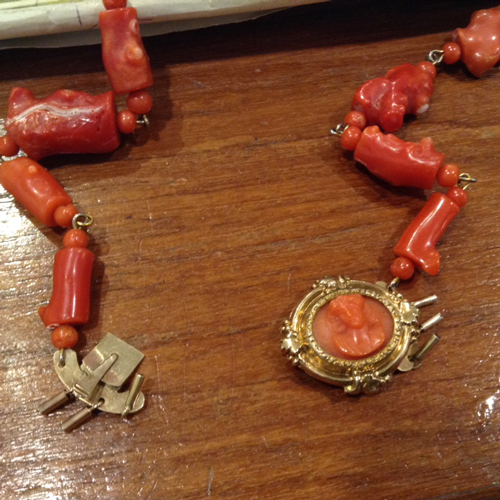 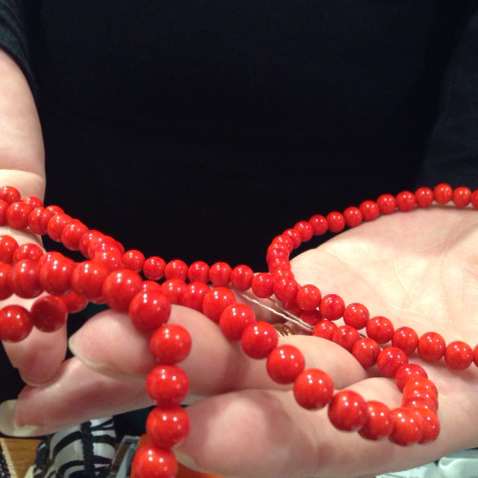 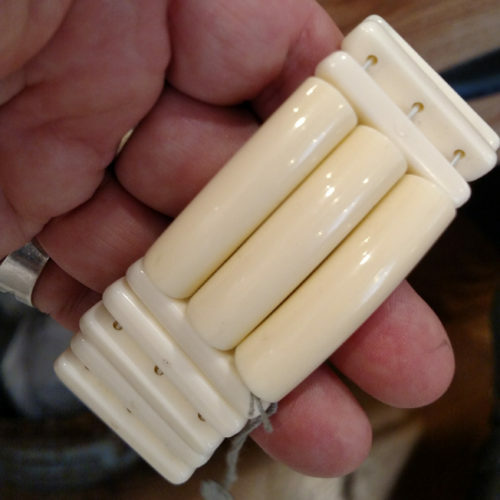 18K carved coral cameo clasp.